Mexican international who made 46 appearances for his country including in the 1966 and 1970 World Cup Final tournaments. Tottenham Hotspur (247). 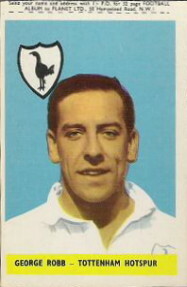 Tottenham full-back who won honours with the Double in 1961, the 1962 F.A. Cup and the 1963 European Cup Winners Cup. In his long career he scored only one League goal, and was selected for one cap for England in 1963. 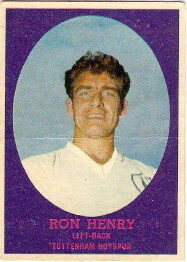 The 1966/67 A&BC Chewing Gum card notes 'A sure-tackling full back, Ron has been one of Tottenham's great stalwarts over the past few seasons. Has played in the half back line as well as at full back, and is unlucky not to have more than a single England cap'. Hibernian (208), Falkirk (15), Clydebank (26). Joined Hibs and played with them for 10 years, including an appearance in the 1958 Scottish Cup Final. Selected as a member of the USSR squad for the 1962 World Cup, but didn't play in the tournament. Made his international debut in 1964, aged 24. In the 1966 World Cup tournament listed as a substitute in the first two group games, then played in the 2-1 win over Chile. Held his place at right-back for the quarter-final win over Hungary, but was not used in the semi-final loss to West Germany. Four years later the FKS Mexico 70 album notes 'Veteran schemer of 29 with Kiev Dynamo who is making somewhat of a comeback internationally. Though he played in the 1966 World Cup was out of favour afterwards until 1969 when he played in three preliminary matches'. Played in two of the group games in the 1970 World Cup, but was again left out for the 1-0 quarter-final loss to Uruguay. Made a total of 21 international appearances, with his international career finishing for the 30-year old in 1970. Airdrie (89), Leeds United (126), Aberdeeb (13), Rotherham United (71), Portsmouth (43), Aldershot (5), St. Mirren (9). Centre-forward who was signed by Don Revie for Leeds United in June 1962, helping Leeds gain promotion to the First Division in 1964, and playing in the 1965 F.A. Cup Final. Leicester City (161), West Bromwich Albion (81), Cardiff City (41). Signed professional with Second Division Leicester City in 1952, enjoying promotion to the top flight in his second season with the Foxes, followed by relegation the following season, then promotion again in 1957. Towards the end of the 1957/58 season Hogg was transferred to WBA who enjoyed a 4th place First Division finish, followed by 5th in 1959, and 4th again in 1960, an excellent spell. Early in the 1960/61 season Derek Hogg transferred to newly promoted Cardiff City, where he finished his League career in 1963. Wolverhampton Wanderers (287), Stoke City (63), Tranmere Rovers (83), Stockport County (77). 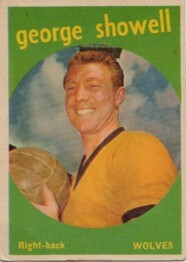 South African born player who signed professional with First Division Wolves in January 1951. Started as a centre back but moved to the right back position where he established himself in the team which won the First Division championships in 1954, 1958 and 1959. He missed only 6 League games in the 1957/58 and 1958/59 title winning seasons. Became club captain in 1959 following the retirement of Billy Wright. After 11½ years with the Wolves Stuart moved to Second Division Stoke City at the start of the 1962/63 season, helping them win the Second Division championship and winning for himself a return to the top flight. Stayed at Stoke for two seasons before moving down to the Fourth Division at the age of 33 to play for Tranmere Rovers. Two years later, at the age of 35, he moved to Stockport County where he finished his League career. West Ham United (85), Nottingham Forest (105), Birmingham City (10). Signed professional for the Second Division Hammers in February 1949, remaining with the club for almost six years. Moved to fellow Second Division Forest in 1954, helping the side gain promotion to the First Division in 1957. Played for First Division Birmingham City at the end of his playing career. Celtic (171), Partick Thistle (30). Scottish player who made 171 League appearances for Celtic from 1957 until 1966. Perhaps surprisingly he was never capped by Scotland as a full international. He left Celtic in 1966 to join Partick Thistle, where he made 30 League appearances, and retired from the top level at the age of 28. Derby County (73), Crystal Palace (32), Sheffield United (26). 22 year old Jeff Bourne was signed by high-flying Derby County in February 1971. His appearances over the next few seasons were limited, as County went on to win the First Division title in 1972. The Top Sellers Football 73 card notes 'Young forward ready to make his mark as soon as he is given an extended first-team run. Has played only a handful of senior games so far. Well-built and strong'. He stayed with Derby for six years, making 73 League appearances with 14 goals before a 1977 transfer to Crystal Palace. However, it was in North America that he made his name with a number of different clubs. Sheffield United (61), Arsenal (217), Orient (8), Fulham (4). Alex Forbes was born in Dundee in 1925. He played for Sheffield United in the immediate post-war years before joining Arsenal in February 1947. He played in Arsenal's 1950 F.A. Final Cup win, 2-0 over Liverpool, and was part of the League Championship winning side of 1952/53. He made 217 League appearances for the Gunners over an eight and a half year stay. He made his international debut for Scotland in 1947, going on to earn 14 caps, the last being in 1952. 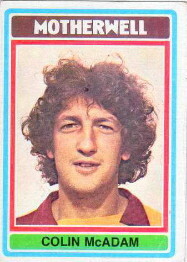 The 1978/79 Sun Soccercard notes 'Deep lying centre forward and one of the great football names of the post-war years. Best remembered as a star of the great Real Madrid side and he won five European Cup winners medals with them. He was also European Footballer of the Year in 1957 and 1959. Di Stefano also played international football with two countries in appearing first with Argentina and then with Spain'. For all of his club greatness he was never able to play in a World Cup Finals tournament, surely an unfortunate injustice to one of the best of all time. Plymouth Argyle (65), Aldershot (185), Lincoln City (46). Signed professional with Plymouth in April 1956, staying for three years as the Pilgrims worked to win the Third Division (South) Championship in 1959. He moved to non-League Corby Town before joining Fourth Division Aldershot in the middle of the 1962/63 season. 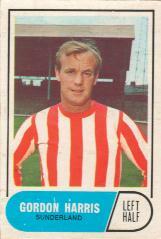 Moved to Lincoln City towards the end of the 1967/68 season where he finished his League career. Sheffield Wednesday (388), Rotherham United (51). Sheffield-born lad who signed professional for First Division Wednesday from juniors in October 1956. Wednesday were relegated from the top flight in 1958, but Fantham helped them win the Second Division the following year. Following their promotion Wednesday finished 5th in 1960 and 2nd in 1961, their best First Division finishes since their last Championship in 1929/30. 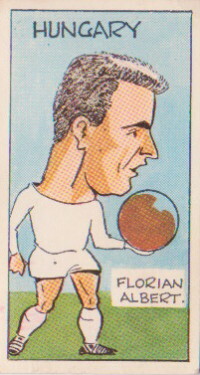 John Fantham gained a single full international cap for England against Luxembourg at Highbury in September 1961, filling the spot normally held by Jimmy Greaves. 388 League appearances for the Owls over a 13 year spell. Moved to Rotherham United in 1969. 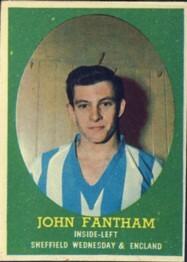 The 1968/69 FKS sticker says 'Wednesday stalwart from 1957 until an October 1969 transfer to Rotherham. Managed over 380 league appearances for the Owls'. Aston Villa (50), Manchester United (13), Chelsea (51), Brighton & Hove Albion (4). 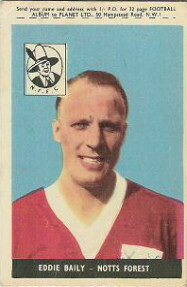 Stan Crowther played for Aston Villa, and won a winners medal in the 1957 F.A. Cup Final against Manchester United. He was still playing for Villa at the time of the 1958 Munich Air Crash which killed a number of Manchester United players, but was rapidly signed by United in the wake of the disaster. 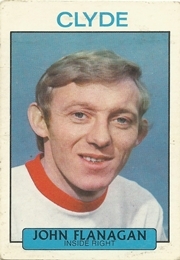 Crowther was already cup-tied, but United were given special dispensation by the Football League due to their tragic and special circumstances, so he played for the Red Devils in the Cup that year. His time at Old Trafford lasted only 10 months before he moved to Chelsea, then later on to Brighton & Hove Albion. Q.P.R. (66), W.B.A. (301), Preston North End (72), Southport (8). Leeds-born winger who began with Leeds United in January 1958 but really made his impression with West Brom from 1961 until 1969. The 1968/69 FKS sticker says 'Was briefly a Leeds United professional before going to Queen's Park Rangers in August 1958. Albion secured this tricky, quick goalscoring left winger in January 1961 for £17,000 and he made his debut v Preston. England Under-23'. Won the 1966 League Cup Final with West Brom in the last final to be played over two legs. Rangers (451), Hearts (187). Defender who made 451 Scottish League appearances for Rangers between 1965 and 1982, before moving on to Hearts where he made another 182 appearances. Played in the 1967 European Cup Winners' Cup Final and was on the winning side in the 1972 European Cup Winners' Cup Final. The 1974 Barratt World Cup Stars card notes 'Jardine, the Rangers defender, is now a regular choice at right back for his country. He is such a valuable member of the side that the Scottish manager decided to move McGrain over to the left to make room for him. The Rangers man started in the Scottish cup final when his side beat Celtic and also played against England and Brazil. Must be one of the first men chosen to make the world cup trip to add to the honours he has already won since making his debut for Scotland a short time ago'. Jardine and Danny McGrain would be voted the best pair of fullbacks in the World Cup competition. He went on to make a total of 38 international appearances for his country. Manchester United (10), Blackburn Rovers (25), Dundee United (283), Arbroath (62). Scottish full-back who originally signed for Manchester United as a 15 year old schoolboy, turned professional as a 17 year old and made 10 League appearances for the Red Devils over 3 years. Transferred to Blackburn Rovers in March 1969, where he stayed for 3 years. In January 1972, aged 22, he moved back to Scotland where he played for Dundee United for the next 10 years, making 283 League appearances, winning two Scottish League Cups. Partick Thistle (105), Everton (209), Shrewsbury (21), Southport (19). Scottish full-back who played 6 years for Partick Thistle before a move to Everton in September 1963. In his 8-year stint with Everton he made 209 League appearances, including the title winning season of 1969/70. The 1968/69 FKS sticker notes 'Was a £25,000 signing from Partick Thistle... and his dour, dependable versatility has been fully utilised mainly in defensive roles. A Scottish Under-23 and Scottish League representative'. He left Everton in May 1971 and moved to Shrewsbury Town in the Third Division making 21 League appearances in 1971/72. The following season he appeared for Southport in the Fourth Division, making 19 League appearances in a season which saw Southport go from 23rd in 1972 to Division Champions in 1973. Made a total of 354 appearances in the English and Scottish Football Leagues. St. Johnstone (112), Aston Villa (79), Tottenham Hotspur (38), Wolves (38). The 1978/79 Sun Soccercard states 'Scottish Under-23 player signed from Scottish club St. Johnstone in August 1976 for an £80,000 transfer fee. The deal was completed at Heathrow Airport so that Gordon could fly with Villa on a pre-season tour of Portugal. Can also play in midfield, but is at full back for Aston Villa'. Hull City (520). Scottish-born full back who signed professional with Hull City in September 1949. Made his first-team debut in 1952 and stayed for 16 seasons. After retiring as a player Davidson remained with Hull City until 1979, working as a scout, coach, and assistant manager. Captain of the Brazilian team who won the 1958 World Cup tournament in Sweden, Brazil's first ever World Cup win. Won another World Cup in 1962, this time in Chile. Also played in the 1966 tournament in England. A total of 51 international caps for Brazil. Nottingham Forest (91), Stoke City (165), Sunderland (41), Crewe Alexandra (2). Signed professional for First Division Nottingham Forest in March 1958, remaining at the club for five and a half years before a switch to Stoke City. Made a big impression at Stoke during his four year stay before a transfer to Sunderland in 1968 at the age of 27. The 1968/69 FKS sticker notes 'Signed in February from Stoke City for a big fee... gained a reputation as a utility man. Cultured player of class. Now at full-back'. Made a total of 298 League appearances. Preston North End (433). Preston-born Finney, aged 20, fought in Montgomery's Eighth Army in Egypt and later in Italy. He made his debut for Preston North End in the First Division in 1946, aged 24, and four weeks later received his first full international cap for England. Finney went on to make 433 League appearances for his only club, and played 76 times for England, including in the 1950, 1954 and 1958 World Cups. Knighted in 1998, we salute Sir Tom Finney, one of the all-time greats. Burnley (258), Sunderland (126). 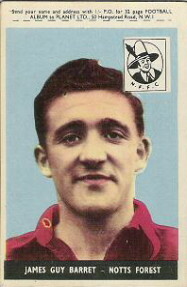 Signed professional for Burnley in January 1958, making his League debut in 1959 in the season that Burnley won the First Division Championship. Became captain before moving to Sunderland in January 1968 at the age of 27, ending his 10 year spell with the Clarets. Made a single full international appearance for England in January 1966 against Poland at Goodison Park. Notts County (188), Aston Villa (127), Chelsea (27), Liverpool (42), Coventry City (17), Birmingham City (28), Oldham Athletic (5). The Rothmans Football League Players Records book records 'Powerfully built leader, clumsy, but effective on the ground with dynamic aerial strength, made his debut with Notts County in 1958, becoming a target of the bigger clubs very quickly. Aston Villa, in assessing goal scoring prowess rather than awkward gait, signed him in August 1963, big Tony responding with 68 goals from 127 games. Tommy Docherty saw him as the short term replacement for Peter Osgood, paying £100,000 to bring the marksman to the Bridge. Although only scoring six goals that season, Tony got the one that mattered in taking the Blues through to the losing F.A. Cup Final of 1967 against Spurs. Moved on relentlessly to club after club, who handed over tremendous transfer fees still looking for the "golden touch". The 1970/71 Lyons Maid Soccer Stars card notes Tony's many transfers: 'Hateley's aggregate transfer value shot to a fabulous £377,500 when Birmingham City paid Coventry £72,500 at the beginning of the 1969/70 season. His earlier moves have taken him from Notts County to Aston Villa (£25,000), to Chelsea (£100,000), Liverpool (£100,000) and Coventry (£80,000). When Chelsea paid their six-figure fee in 1966 it was a record for a non-international player'. Huddersfield Town (5), Peterborough United (263). Born in Mulranny, County Mayo, Ireland, Conmy began his professional career with Huddersfield in the Second Division in May 1959. He stayed for five seasons, but managed only 5 first team appearances in that time. Transferred to Third Division Peterborough in May 1964 where he became a fan favourite, staying for 8 seasons (including relegation to the bottom flight in 1968) before being released at the age of 33. Later served as youth team coach with the Posh. Five international caps for the Republic of Ireland. Bournemouth (58), Gillingham (259), Colchester United (156). Signed professional for Bournemouth in October 1957 as the Third Division (South) side joined the new Third Division in 1958/59. Stayed for five seasons before dropping down to the Fourth Division to join Gillingham in October 1962. Helped Gillingham win promotion as Fourth Division champions in 1964. Dropped to the Fourth Division again in 1968 to join Colchester United. Totalled 473 League appearances. Burnley (227), Chesterfield (133). 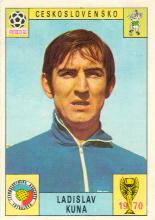 The FKS 1968/69 sticker notes 'Clever player adept at various roles. Turned professional in June 1959 and made his League debut against Manchester City in March 1963 aged 21. Can play equally well in attack or defence and came to the fore as a schoolboy'. The A&BC Chewing Gum 1969/70 Green back card notes 'One of Burnley's many talented players to emerge from their Juniors. Bellamy got his big chance at Turf Moor when Jimmy McIlroy moved to Stoke. Now established in midfield where his intelligent play produces many goals'. 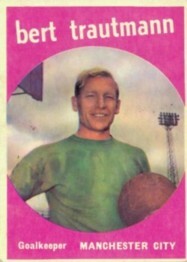 In the thirteen years Bellamy was at Burnley as a player they were First Division champions in 1960 with a number of other top four finishes. Walsall (25), Wolverhampton Wanderers (381). The 1979/80 Sun Soccercard says "Top-class goalkeeper who won 24 caps for England. Played in the 1950 World Cup Finals in Brazil, which included that defeat by the USA 1-0 in Belo Horizonte, although that was no fault of Williams. Agile and brave keeper, he won League title and F.A. Cup winners medals with his club Wolverhampton Wanderers. Made 406 League appearances in his career". Awarded the MBE in 2010 for services to football and to charity. Nicknamed 'the Cat' and, by all accounts, a superb keeper and a fine man. Celtic (220), Everton (133), Leeds United (149), Bury (75), Morton (54), Oldham Athletic (7). Diminutive Scot who played for Celtic from 1949 until 1958. Moved to Everton in 1958 then to Don Revie's Leeds United in the Second Division in 1962. Awarded Footballer of the Year in 1965. 31 full international caps for Scotland. The 1965/66 A&BC Chewing Gum Footballer card says 'Leeds United inside right.... nicknamed 'The Little General'. Transferred from Everton for £25,000 in 1962, he broke his right leg against Torino in an Inter-Cities Fairs Cup-tie in Italy in October 1965, but recovered in time for the start of the 1966 season'. He played on for another 8 years before ending his professional playing career. 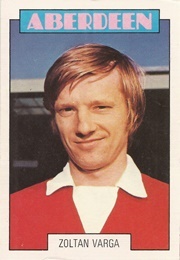 The 1971/72 Purple Back (Scottish) card says 'The "Peter Pan" of Scottish football. Pint-sized Bobby celebrated his 40th birthday in February 1971 but looks like going on for a long time yet. Tremendously popular with the Morton fans, he is the brains of the Cappielow attack. Picked up on a free transfer from Bury in 1969'. Dundee (85), Rangers (171), Dundee United (101), Ipswich Town (68), St. Johnstone (44), Brechin City (44), Raith Rovers (12). Signed professional for Dundee in 1973 from Errol Rangers. Prolific striker who was signed by Rangers in 1980 for £210,000, a Scottish transfer record at the time. Stayed at Rangers for five years before a move to Dundee United with whom he appeared in the 1987 UEFA Cup Final. Moved to Ipswich Town in the Second Division. Later returned to Scotland. Made over 500 League appearances. Luton Town (6), Coventry City (22), Portsmouth (338). Signed professional with Luton in April 1959. Moved to Coventry in 1962, then to Pompey in August 1961. Stayed with Portsmouth for 12 years, all played in the Second Division. Mozambican-born Portugese football legend. According to Wikipedia Eusebio scored 733 goals in 745 professional appearances. Most famous for his performances at the 1966 World Cup Final tournament where he was the tournament high scorer. West Ham United (283), Chelsea (27), Q.P.R. (84). Uruguayan who played in four World Cup Final tournaments. In 1962 as a 19 year old at the tournament in Chile he played in the first group game (which they won) but not in the next two (which they lost). In 1966 he played in all group games and the Quarter Final 4-0 loss to West Germany. In the 1970 tournament in Mexico, playing as captain, he went off, presumably injured, after 12 minutes of the first group game and didn't appear again in the tournament, which was a shame as Uruguay made it through to the semi-finals. In 1974 he played in all three group games in what was a poor tournament for Uruguay. The FKS Mexico 70 album notes that Pedro Rocha was a 'cool, strong midfield player with subtle footwork and a powerful finish'. This page lists those players who played in four or more World Cup Final tournaments. It is a list of elite players of the game.https://en.wikipedia.org/wiki/List_of_players_who_have_appeared_in_multiple_FIFA_World_Cups. Manchester United (566). Defender who signed for Manchester United in August 1951 and stayed for 18 seasons. During that time he helped win four Division One titles, an F.A. Cup and a European Cup. Survivor of the 1958 Munich Air Crash, after which Foulkes became team captain of the rebuilding side. Foulkes retired in June 1970 at the age of 37. One international cap for England in 1954. Wrexham (5), W.B.A. (226), Southampton (150). 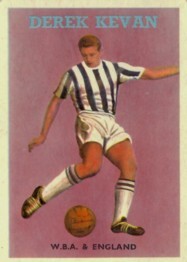 Full-back who began with Wrexham in 1947 but moved to West Brom in February 1951. 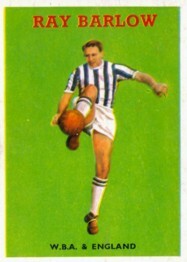 Williams stayed at the Hawthorns for 11 years, particularly enjoying a 4th place finish in the First Division in 1953, followed by a 2nd place the following year. The late 50s also saw excellent finishes for the Baggies with 5th in 1959 and 4th in 1960. Welsh-born Williams played 43 times for his national team, most noticeably in the 1958 World Cup Final tournament in Sweden where Wales played three group matches for three draws, conceding only two goals. They then won a play-off 2-1 to qualify for the knockout round. In the knockout round they faced Brazil, going down 1-0 to a Pele goal - surely one of the standout performances in Welsh international football history. Williams played in every Wales game in the tournament. Wrexham (76), Huddersfield Town (26), Rotherham United (115). Welsh-born defender with a Polish grandfather. The 1970/71 FKS album says 'Linked up with Wrexham originally as an amateur from Caernarvon and signed professional forms for the North Wales club in May 1964. Moved to Leeds Road (Huddersfield Town) in September 1967 and lost his centre-half berth through injury'. Mielczarek made only 26 League appearances for Huddersfield due to injury, and moved to Rotherham United where he enjoyed less injury and more games. While at Rotherham he gained a full international cap for Wales, playing against Finland in May 1971. Dunfermline Athletic (254), Queen of the South (35). 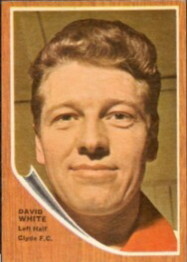 Forward who joined Dunfermline in January 1955. Stayed with the club for almost 10 years, scoring 215 goals in all appearances. Played in the Scottish F. A. Cup Final win over Celtic in 1961, Dickson scoring the second goal in a 2-0 win. Moved to Queen of the South in November 1964. 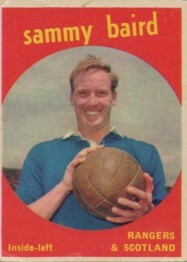 Goalkeeper who joined Rangers in 1958. Made 75 appearances over 12 years before moving to East Fife, Queen of the South then Hamilton Academical. Played for Rangers in the 1967 European Cup Winners' Cup Final, losing 1-0 to Bayern Munich. The A&BC Chewing Gum, 1969/70 Scottish blue back card notes 'The current first-tem choice goalkeeper for Rangers, he was signed from Dalry Thistle in 1958. A safe all-round 'keeper, he appeared in 31 League games last season'. Everton (135), Sunderland (121), Hartlepool United (6), Carlisle United (25), Middlesbrough (27). Played for seven years with Everton in the First Division, then moved to Second Division Sunderland. Enjoyed promotion back to the top flight in 1980. Moved to Hartlepool United in the Fourth Division in 1983 and played the first six games of the season before a transfer to Second Division Carlisle. Despite appearing 25 times for Carlisle in that season he was given a free transfer at the end of the season and joined fellow Second Division side Middlesbrough. The FKS 1974/54 album notes 'Made his name originally with Manchester Boys and subsequently won youth international honours for England. Midfield player he was given his initial senior outing for the club against Wolverhampton Wanderers in March 1972'. The FKS Soccer 82 album notes 'Surprisingly transferred for £80,000 in 1978 by Everton for whom he had made 135 League appearances. Diminutive, but highly competitive'. Brentford (16), Wolverhampton Wanderers (452), Shrewsbury Town (69), Aston Villa (64), Stockport County (31). Signed professional for Second Division Brentford as a 17 year old, remaining for nine months before moving to First Division Wolves, where he stayed for 14 years. Wolves won the First Division titles in 1954, 1958 and 1959, and the F.A. Cup in 1960. Perhaps surprisingly made only 7 full appearances for England, beginning in 1958, with his last cap in 1960, though he was competing against the likes of Bobby Charlton, Jimmy Greaves and Johnny Haynes for positions. Later moved to Shrewsbury Town in the Third Division, remaining for 21 months before returning to the First Division in 1966/67 with struggling Aston Villa (who were relegated at the end of that season). Regarded as one of the all time great footballers. The Rothmans Football League Players Records book notes 'Brilliant teenage prodigy who eventually became mercurial long service player. Snapped up by Brentford from home town club Dover, quickly became a first teamer before Wolves took him to Molineux for £10,000 on advice from George Poyser who had earlier discovered him. Clever, thoughtful inside forward, adept at setting up chances for others, who flourished with the Wolves and really was one of the key players of the 1950s and early 1960s'. The 1965 Barratt's card notes 'Moved to Shrewsbury in 1965, dropping down into the Third Division despite several other offers because he wanted to remain near his business interests in the Midlands'. Albion Rovers (43), St. Johnstone (39), Partick Thistle (134), Clyde (46). Began in the Scottish Second Division before moving to First Division St. Johnstone. Transferred to First Division Partick Thistle in 1965 where he stayed for five years. With Partick relegated in 1970 Flanagan remained in the First Division after joining Clyde. The A&BC Chewing Gum, 1971/72 Purple Back (Scottish) card notes 'A most versatile forward equally at home at outside-right, both inside forwards positions and centre. Was originally signed by St. Johnstone from Albion Rovers for £8,000 and then went to Partick Thistle in 1965'. Everton (179), Grimsby Town (238). Irishman from Cork who joined Everton in May 1949, making his First Team debut in the 1950/51 season, which unfortunately saw Everton relegated from the First Division. Stayed with the Toffees for nine years, including promotion back to the top flight in 1954. At the start of the 1958/59 season Donovan transferred to Second Division Grimsby Town, again suffering relegation at the end of that season. 1962 saw promotion back to the Second Division, with Donovan as club captain. Five international caps with Eire in the period from 1954 to 1957. Burnley (11), W.B.A. (59), Birmingham City (33), Brentford (91). Signed professional for First Division Burnley as a 17 year old, staying with the club for over 5 years though only making 11 first team appearances. During this period Burnley were a top club, winning the League in 1960 and finishing in the top six in most other years. In 1962 Fenton moved to fellow First Division side WBA, then to struggling Birmingham City in 1964/65, suffering relegation with the Blues at the end of that season. In January 1968 Fenton, aged 27, moved to Fourth Division Brentford where he was made Captain. After the end of his playing career he moved to Notts County as part of the coaching staff, enjoying promotions from the Fourth to the Third Divisions in 1971, and the Third to the Second in 1973. He was manager of Notts County from 1975 to 1977, including a fifth place finish in the Second Division in 1976. He then joined Nottingham Forest on their coaching staff and later as assistant to Brian Clough during Forest's glorious spell. Dutchman who began as a professional footballer in 1963 and finished his career 22 years later. Played for Ajax between 1968 and 1976, winning European Cup Winners medals in 1971, 1972 and 1973. The 1974 FKS World Cup album notes 'Signed by Ajax from Volendam in 1968... Was given his first full outing for Holland as substitute v England in November 1969. Good reader of the game'. He made a total of 10 international appearances for his country, though did not play in the 1974 World Cup Final tournament games. Bolton Wanderers (49), Bradford City (8), Blackpool (19), Bournemouth (40), Bury (6). Bolton-born Smith made his League debut for Second Division Wanderers in the 1974/75 season, finishing the season with 7 League appearances as the team finished mid-table. The following season he managed only 6 appearances in the League as Bolton just missed out on promotion by a single point. 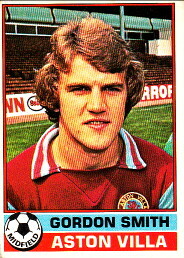 The following season was Smith's best, with 16 League appearances as Bolton again finished 4th. In 1977/78 Bolton were Second Division Champions, but Smith didn't make any first team appearances, going out on loan to Third Division Bradford City. At the start of the 1979/80 season he transferred to Third Division Blackpool, staying only one season before dropping down to the Fourth Division to play with Bournemouth. He finished his League career with Bury. In 1978 he played with the Tulsa Roughnecks under Bill Foulkes in their first season in the NASL. The 1979/80 Topps card notes: 'Brian scored his first League goal in his second League game vs. Nottingham Forest on November 2nd, 1974. He's a very attack-minded player'. Wolverhampton Wanderers (49), Manchester City (14), Aston Villa (45), Shrewsbury Town (36). Forward who signed professional for Wolves in 1955 (aged 17) when the Wanderers were a dominant force in English football with titles in 1957/58 and 1958/59. 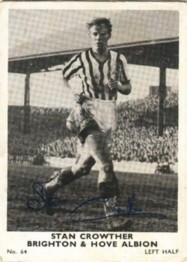 Stobart, however, didn't make his first team debut until March 1960. Two months later he won an F.A. Cup Winners medal after playing in the 3-0 win over Blackburn Rovers. In August 1964, after nine years with Wolves but only 39 League appearances, Stobart moved to Second Division Manchester City, but lasted only three months before a transfer back to the top flight with Aston Villa where he stayed for 3 years. In October 1967 he transferred to Shrewsbury Town in Division Three, helping them to a third place League finish. Motherwell (11), St. Mirren (63), Manchester City (37), Hibernian (59), Ipswich Town (135), Coventry City (31), Brentford (8). Older brother to future England international Joe Baker, Gerry was born in the U.S., but his parents moved to England (where Joe was born) then Scotland where Gerry was raised. Signed professional terms with Scottish First Division side Motherwell in 1956, before moving on to St. Mirren in 1958/59 where he scored a goal in St.Mirren's Scottish F.A. Cup victory in that season. 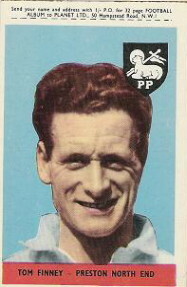 In November 1960 Baker was signed by First Division Manchester City, staying for one mid-table season finish, before returning to Scotland with Hibs in November 1961. In December 1963 he returned to England to play for First Division Ipswich Town, but was unable to prevent them finishing bottom of the Division and relegated. He played the next three years in the Second Division, before a 1967 move to back to the First Division with Coventry City. In 1968 Gerry Baker was selected for the U.S. national team, playing in qualifiers for the 1970 World Cup. He would go on to make 7 international appearances. The FKS 1968/69 sticker notes 'Quick little opportunist attacker with vast experience, having served Motherwell, Hibernian, St. Mirren, Manchester City and Ipswich Town previously. Moved to Coventry in November 1967. Once on Chelsea's books as a junior'. Hearts (293), Watford (8), Berwick Rangers (71). Scottish winger who began with Hearts in 1955 in a season which saw them finish 3rd in Division 'A', and winning the Scottish F.A. Cup Final (though Hamilton was not in the team). Hearts were champions of Scotland in 1957/58 and 1959/60, and League Cup Winners in 1958/59, 1959/60 and 1962/63. In May 1967 Hamilton, aged 32, transferred to Third Division Watford where he stayed for three years but made only 8 League appearances before he returned to Scotland. Manchester City (144), Wolverhampton Wanderers (324), Blackburn Rovers (77), Blackpool (19). Began with Manchester City in the First Division where he enjoyed a number of mid-table finishes before relegation in 1963. Played for one and a half seasons in the Second Division before being snapped up by Wolves in December 1964, only to be relegated again at the end of that season. Ironically Manchester City were promoted in 1966, while Wolves remained in the Second Division until the end of the following season. Following a run of lower table finishes, Wolves managed a creditable 4th in 1970/71 and 5th in 1972/73. To further complete the irony of his link to both Manchester and Wolves, he played in the 1974 League Cup Final for Wolves against City. He was substituted off at the 83rd minute mark, with the score 1-1. Two minutes later Wolves scored, giving him a League Cup winners medal. At age 33 he transferred to Blackburn Rovers. After a brief spell at Blackpool he returned to Rovers where he played his last League game at home to Oldham Athletic on March 14, 1979. His contract with Blackburn was cancelled in October 1979. The FKS 1970/71 album notes "Manchester-born youth international winger on the left who was a 17-year-old debutant with Manchester City, ten years ago. Moved to Molineux in December 1964, with a debut vs. Aston Villa". The Top Sellers Football 75 card notes "Fine, forceful winger who had five years with Manchester City before arriving at Molineux in a £30,000 transfer deal. Can centre a ball with pinpoint accuracy and makes a lot of goals for the main strikers". Dumbarton (70), Motherwell (62), Partick Thistle (93), Rangers (65), Hearts (6). Began his professional career in the Second Division with Dumbarton, staying for six years. 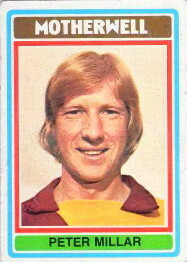 Joined Motherwell in 1974/75 season in the Scottish First Division, which became the Scottish Premier League in 1975/76. Moved to fellow Premier League club Partick in 1977/78, then picked up by Rangers in 1980/81 where he stayed for four seasons. Later played for Hearts before a return to Partick Thistle. Played for non-League clubs before finally retiring in 1990. The 1978/79 Sun Soccercard notes "Midfielder signed from Motherwell in February, 1978. Colin had signed for Motherwell from Dumbarton in 1975. He played in 12 League games for Partick in the 1977/78 season and he also scored three League goals". The FKS Soccer 82 album notes "Striker. Signed last season from Partick Thistle for a club record £160,000, where his goalscoring had earned him many fans. Tall and strong, he is very dangerous in the air. Should earn international honours in the future. Ht. 6.2. Wt. 13.3". Brazilian full back who made 964 appearances in Brazilian Leagues, plus 98 international appearances. He began his League career in 1948, and ended it 22 years later in 1970. He played in the 1954, 1958, 1962 and 1966 World Cup tournaments, winning in 1958 and 1962. He is recognised as one of the greatest footballers of all time. The 1978/79 Sun Soccercard notes 'Right back who like "Old Man River" just went on and on. After playing in the 1952 Pan-American Championships, Djalma, who was an outstanding right back, played in the 1954, 1958, 1962 and 1966 World Cup Finals for Brazil.... at the age of 34 played for FIFA against England in 1963'. Hibernian (253). Scottish forward who played for Hibs from 1946 until 1958, scoring 185 goals in 253 League appearances. Hibernian won what was known as the Scottish Division 'A' in 1947/48, 1950/51 and 1951/52 in a period where they were always contenders for the title. Reilly made his international debut against England in 1949, going on to win 38 Scottish caps, scoring 22 goals. 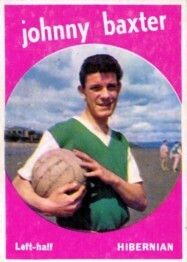 The 1978/79 Sun Soccercard notes 'Centre forward of the very fine Hibernian side of the early 1950's. Won Scottish Championship medals in 1950-51 and 1951-52. Only 5ft 7ins tall, but was one of the most prolific scorers of the post-war era'. Manchester City (1), Orient (108), West Ham United (138), Aston Villa (106). 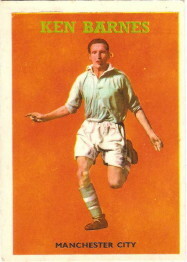 Welshman who played one game for Manchester City as a 20 year old amateur in the First Division in the 1952/53 season. He moved to Sutton United, then to Leyton Orient in the Third Division (South). Orient finished second in 1955 when only one team gained promotion, but then topped the Division the following season. 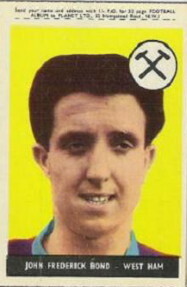 In November 1958 Woosnam transferred to First Division West Ham where he stayed for three years until a November 1962 transfer to Aston Villa. Woosnam was first capped for Wales on October 18, 1959 against Scotland, going on to make a total of 17 full international appearances. In 1966 Phil Woosnam emigrated to the U.S., where he would go on to become Commissioner of the North American Soccer League from 1969 until 1983. 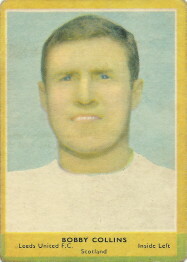 Woosnam did not appear in any football cards of the period as an individual. The image at right is taken from the Aston Villa team photo from the Ty-phoo Tea issue of 1963/64. You can view the team image here. Manchester City (508). Signed for Manchester City in October 1949, in a season which saw City relegated from the First to the Second Division. Trautmann played in the Second Division in 1950/51, with City finishing second and being promoted back to the top flight. Throughout his career, City struggled in the First Division, finally relegated again in 1963, meaning that Trautmann's last season was also spent in the Second Division. 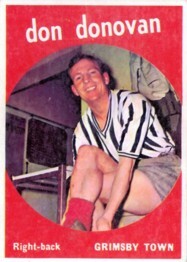 Trautmann played in the 1955 F.A. Cup Final (a 3-1 loss to Newcastle United), and the following year, a 3-1 win over Birmingham City. In 1956 Trautmann also won the Football Writer's Association Footballer of the Year award. Apparently Trautmann excelled at stopping penalties, saving 60% of those he faced over his career. You can watch the highlights of the 1956 F.A. Cup Final, including Trautmann's injury and saves via this link http://www.youtube.com/watch?v=EquhxgZrJz0. The 1960/61 A&BC black back states 'One of the great personalities in the game today, he has won the respect and admiration of supporters all over the country by his skill and daring'. Clyde (223). Played for Clyde from 1957 until 1966, after which he became manager. In late 1967 he became manager at Rangers where he stayed until November 1969. Manager at Dundee from 1972 until 1977, including winning the Scottish League Cup in 1973. Arbroath, Dunfermline Athletic, Motherwell, Dundee. 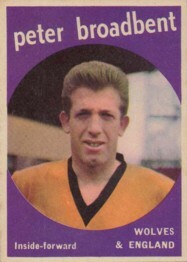 The Sun Soccercard notes "Peter has played in nearly every position for his club since moving from Dunfermline in 1972. He has been capped by Scotland at Under-23 level and has also played for the Scottish League. Penalty expert who rarely misses from the spot. Completed his 150th League match for Motherwell in the 1977/78 season". Arsenal (125), Liverpool (155), Coventry City (33). Signed as a professional for Arsenal in April 1958, and stayed with the Gunners for six and a half years at a time when Arsenal finished mostly mid-table. In 1964 Strong moved to Anfield in a season where Liverpool won the F.A. Cup. Switching to a more defensive role Strong earned a Championship medal when Liverpool topped the First Division in 1966. In July 1970 he moved to Coventry City for a single season. Strong played his entire career over 13 years in the First Division. The FKS 1968/69 album notes 'Cost a five figure fee as an attacker from Arsenal in November 1964. Formerly with Stanley United he turned professional in 1958. Has become a valuable utility player, especially effective in the air'. 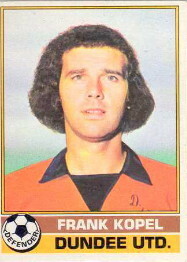 Midfielder who played for West Germany in the 1974 World Cup. In the first round he played in the last group game against East Germany. In the second round he came on as a 78th minute substitute in the first group game, and an 83rd minute sub in the second. He was on the bench for the final, but was not required on the pitch. In 1978 in Argentina he played in each of the first round games, but only the first of the second round matches. He ended his career with 39 international caps. The FKS Argentina 78 album notes 'Made his first appearance v Greece as substitute in November 1970. Midfield player with IFC Cologne who has been capped at youth, Under-23, B and full level". Chester City (94), Luton Town (32), Norwich City (113), Southampton (240), Portsmouth (59), Manchester United (8), Millwall (3). 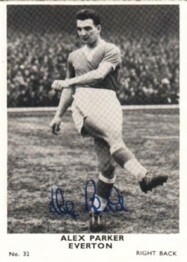 Center-forward who joined Fourth Division Chester City at the start of the 1959/60 season. In 1960/61 and 1961/62 Chester finished bottom of the Football League. In October 1962 Davies transferred to Second Division Luton Town, but they also finished bottom of their Division and were relegated. At the start of the following season Ron Davies was transferred back to the Second Division to join Norwich City where he stayed for 3 years. At the start of the 1966/67 season he joined Southampton for a fee of £55,000. Southampton were newly promoted to the First Division for the first time in their history. In that season he finished as the top scorer, then repeated the feat the following year (in a tie with George Best). The FKS 1968/69 Wonderful World of Soccer Stars album notes 'Big fee capture by the Saints in August 1966. Strong shot, commanding in the air and clever on the ground'. The 1969/70 album notes 'Welsh international leader and fine marksman, excelling in the air'. Manchester United (221), Leeds United (72), Rochdale (16). Made his debut for the Red Devils in the 1973/74 season, which saw United relegated from the First Division. Promoted the following year back to the top flight Greenhoff enjoyed nine years in Manchester though with no league titles. He was part of the 1977 F.A. Cup winning team, beating Liverpool 2-1. 18 full international caps for England. Brother of Jimmy Greenhoff. The 1978/79 FKS Golden Collection album notes 'Was a midfield player but switched successfully to centre-back'. The FKS Soccer 82 album notes 'Highly talented, versatile player surprisingly sold in 1979 for £350,000 by Manchester United'. Aberdeen (124), Hearts (47), Arbroath (33). Centre-forward who signed for Aberdeen in 1959. Played in the US North American Soccer League in its earliest days in 1967/68 before moving back to Scotland where he finished his playing career in 1973. Newcastle United (134), Carlisle United (6), Darlington (12), Rochdale (4), Hartlepool United (7). Defender who joined Second Division Newcastle from Blyth Spartans in October 1979. In 1983/84 Newcastle were promoted, with Carney making 32 appearances plus one sub. He made only six appearances in the top Division, ending the season back in the Second Division on loan to Carlisle United. 1985/86 was his last in the Football League. He began the season at Third Division Darlington, was loaned to Fourth Division Rochdale then transferred to Fourth Division Hartlepool, though they cancelled his contract at the end of that season when a poor end of season saw them miss out on promotion. Orient (171), Luton Town (78), Brighton and Hove Albion (100), W.B.A. (65), Manchester City (11), Rotherham United (110), Walsall (36). Began his career in the Second Division with Orient. Transferred to fellow Second Division club Luton in 1979 before moving to First Division Brighton in 1981.Grealish captained Brighton in their 1983 F.A. Cup Final loss to Manchester United, in the same season they were relegated from the top flight. 45 international appearances for the Republic of Ireland. The FKS Soccer 81 card notes 'Midfielder and Republic of Ireland international. Signed for Orient as an apprentice in June 1972 and had made 171 League appearances before signing for Luton in August 1979. Height 5.7. Wt. 11.7.'. Burnley (117), Blackpool (61), Barrow (40). Goalkeeper Harry Thomson signed professional terms with Burnley in 1959 as a 19 year old, but did not make his first team debut until 1965. He made over 100 first team appearances for the Clarets, before transferring to Blackpool in 1969. Uruguayan winger who began his career with Peñarol in 1957 before moving to Barcelona, returning to South America in 1964 to play for River Plate. In the 1962 World Cup Finals in Chile Cubilla played two group stage games, scoring one goal. Cubilla missed the 1966 tournament, but returned in 1970 where he played in two group games, the quarter finals and the semi final. 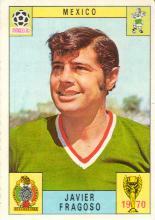 Cubilla also played in the 1974 tournament, aged 34. After his playing career ended Cubilla became a successful manager, including of the national team. Millwall (165), Ipswich Town (72), Swindon Town (4), Orient (85). Right-half who began with Third Division (South) Millwall. Relegated in 1958 he played in the Fourth Division, including winning the Division title in 1962, though relegated again in 1964. Transferred to Second Division Ipswich Town in March 1965, staying for two seasons before a switch to Third Division Swindon where he stayed for only 3 months before moving to Orient. Bradford Park Avenue (15), W.B.A. (262), Chelsea (7), Manchester City (67), Crystal Palace (21), Peterborough United (17), Luton Town (11), Stockport County (40). Signed professional terms with Bradford in October 1952 and played in the Third Division (South) before transferring to First Division West Brom as an 18 year old. In his first season WBA came second in the League and won the F.A. Cup, though Kevan did not play first team football until 1955. Over the next 8 years West Brom finished consistently in the top 10 places in the League, with Kevan their goal-scoring centre-forward. Derek Kevan was selected for England in 1957, and played and scored in the 1958 World Cup tournament in Sweden. In early 1963 he briefly joined Second Division Chelsea and helped guide them to promotion, but for his efforts was transferred to fellow Second Division club Manchester City. In the following years he played in lower Divisions, including joining Stockport County in March 1967 to help them secure the Fourth Division title. The Rothmans Football League Player Records notes that Kevan was a "big blond striker, tremendously powerful, made a terrific reputation at W.B.A. where, teaming up with the great Ronnie Allen, he scored over 150 league goals". Uruguayan goalkeeper who made 36 appearances for his national team between 1965 and 1974. Mazurkiewicz played in the 1966 World Cup tournament in England, keeping a clean sheet against England in the Group stages, and helping Uruguay qualify for the knockout stage by conceding only one goal. In the Quarter-final Uruguay were soundly beaten 4-0 by West Germany. He played again in Mexico in the 1970 World Cup Final tournament, again conceding only a single goal in the Group stage to help Uruguay qualify. This time in the Quarter-final Uruguay were more successful with a 1-0 win over the Soviet Union after extra time. In the Semi-final Uruguay lost 3-1 to Brazil. The 1970 FKS Mexico 70 album notes "Nimble, courageous and highly competent goalkeeper, rated No. 1 in South America. Once a full-back with Racing now Peñarol's last line of defence". Mazurkiewicz was also featured as a Star Player of Mexico 70 in the FKS 1970/71 Wonderful World of Soccer Stars Gala Collection, which noted that at the age of 24 he also performed the role of Players Union Chairman in Uruguay. Bradford Park Avenue (100), Southampton (79), Cardiff City (6). 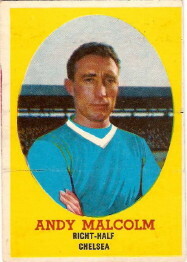 Full-back who joined Third Division Bradford in September 1961. Bradford Park Avenue were relegated, on goal difference, in 1963. 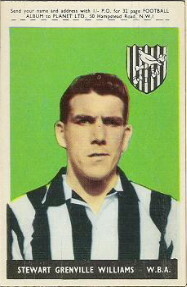 At the end of the 1965 season Jones moved from the Fourth Division to the Second to join the Saints. In his first season they were promoted to the First Division for the first time in their history, though Jones made only seven first team appearances in that season. Jones stayed with Southampton for six years before moving to Cardiff for one season. The FKS 1969/70 album notes 'First came in the limelight in Yorkshire schoolboy football and then played for Monckton Colliery. After joining Bradford Park Avenue moved to the Dell four years ago in July 1965. Dour, dependable full-back'. Bolton Wanderers (273), Everton (120), Oldham Athletic (33), Tranmere Rovers (32). Dennis Stevens began his career at First Division Bolton, signing professional teams in December 1950. He stayed at the club for over 11 years, all in the top flight including many top 6 finishes and a 1958 F.A. Cup Final victory over a Manchester United side struggling after the February Munich air disaster. In March 1962, 29-year-old Stevens was transferred to Everton for a fee of £35,000, where he enjoyed a 4th place League finish followed in 1963 by a League Championship medal. 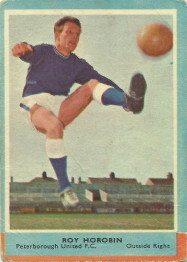 After almost 4 years with Everton, Stevens transferred to Third Division Oldham Athletic in 1965, followed 16 months later by a transfer to Fourth Division Tranmere Rovers where he ended his League playing career. Wolverhampton Wanderers (200), Bristol City (11), Wrexham (48). 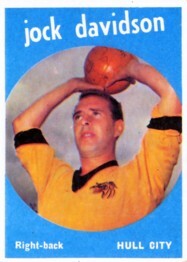 Defender who joined high-flying First Division club Wolves as a 15 year old in 1949. Played in the title winning sides of 1957/58 and 1958/59, and in the 1960 F.A. Cup Final win over Blackburn Rovers. At the end of the 1964/65 season Wolves were relegated, and 31 year old Showell moved on to Bristol City (newly promoted from the Third Division to the Second) after 16 years and 200 League appearances for Wolves. After 18 months with Bristol City he moved to struggling Fourth Division side Wrexham, but could not prevent them finishing bottom of the Football League that season. George Showell played for Wrexham for two seasons, but stayed at the club in various roles for the next 22 years. Dundee United (456). Aberdeen-born centre-half who joined Dundee United in 1958 and spent his entire career there, a total of 456 League matches. Began his playing career in the Scottish Second Division, but enjoyed promotion to the top flight in 1960. A major figure at Dundee United for over forty years. The 1971/72 A&BC Chewing Gum, Scottish purple back card states "Comes from a real football family as brother David plays inside-left for Rangers, and another brother Hugh was a right-winger with Forfar Athletic. Dougie himself is a dandy centre-half. Took over the pivotal berth when Ronnie Yeats was sold to Liverpool for £30,000 and has never looked back. Joined Dundee United in 1958 from Aberdeen Lads' Club". Birmingham City (29), Wrexham (142), Port Vale (74), Chester City (33). 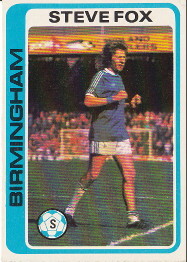 Winger who made his debut in 1977 with First Division Birmingham City, but failed to command a first team place. During the 1978/79 season, one in which Birmingham would end up relegated, Fox moved to Second Division Wrexham. Spent four years with Wrexham, including appearances in the Welsh Cup Final and the European Cup Winners Cup. Later moved on to Fourth Division Port Vale and Chester City. The 1979/80 Topps football card notes 'Steve scored his first League goal against Newcastle on April 2nd, 1977. He plays wide on the flank and is very fast off the mark." Luton Town (9), West Ham United (74), Leyton Orient (24), Brighton and Hove Albion (49), Crystal Palace (27). 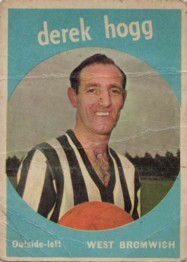 Player from the early 1950s until finishing his playing career in 1960. Moved into coaching, and then management. Sexton became Chelsea manager in late 1967. Chelsea enjoyed 6th, 5th, 3rd, 6th and 7th places in the following seasons, but the highlights were in Cups with a 1970 F.A. Cup Final victory over Spurs, followed by the European Cup Winners' Cup in 1971. Sexton went on to manage QPR and Manchester United in later years, as well as England Under-21 coach. Burnley (265), Manchester United (80), Blackburn Rovers (149), Bury (128). Joined First Division Burnley as an 18-year old and made his League debut in 1957. During this time Burnley were a top-10 club, culminating in the First Division Championship in 1960. He made his international debut for England in 1959, and travelled to Chile for the 1962 World Cup tournament, though he did not play a game. 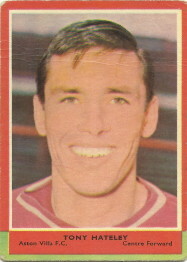 Connelly stayed with Burnley for over 7 years until a transfer to Manchester United in April 1964. In 1965 the Reds also won the Championship, giving him his second medal. He was part of the 1966 World Cup winning squad, playing in the first game of the tournament (a game which would be his last international). After only two seasons with United, Connelly was transferred to Blackburn Rovers, newly relegated from the First to the Second Division. He stayed with Rovers for four seasons, before transferring to Third Division Bury where he played for three years, including relegation in 1971. 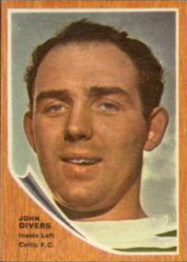 Overall John Connelly made over 600 League apperances. The 1970/71 World Cup Stars (presented with the Hotspur) card notes "Born in St. Helens, he played for St. Helens Town. A dazzling winger he was signed by Burnley in 1956. He moved on to Manchester United and was transferred to Blackburn Rovers in 1966 for £40,000. Gained many full international caps and was a member of he 1966 World Cup party. 11st 2lb and 5ft 8½ins." Plymouth Argyle (32), Luton Town (81), Tottenham Hotspur (25). Keeper who began his League career as a 17-year old at Port Vale. He made his League debut four years later at Third Division Plymouth Argyle where he stayed for over three years. Won promotion in 1975. In 1976 Aleksic was transferred to Luton Town where he stayed for two years before a transfer to First Division Tottenham. In 1981 Aleksic was the keeper for the Spurs F.A. Cup Final win over Manchester City. The FKS Soccer 81 sticker album notes "Goalkeeper signed from Luton Town in December 1978. Began his career as an apprentice with Port Vale and then played for Stafford Ranger and Plymouth. Born Stafford. Height 6' 1". Weight 13st 11lbs. Helmut Haller played for West Germany, making his international debut in 1958. He played in the 1962 World Cup in Chile, playing in group games and the quarter-final loss to Yugoslavia. In the 1966 World Cup he scored twice in a group game, twice in the quarter-final, once in the semi-final and again in the Final. He finished the tournament as the second-highest scorer, behind Eusebio. He also played in the 1970 World Cup tournament, though only got 45 minutes of playing time. He retired from playing in 1979. W.B.A. (54), Notts County (123), Peterborough United (80), Crystal Palace (4). West Ham United (381), Torquay United (130). Essex-born John Bond joined Second Division West Ham United in 1950 as a 17 year old. He was part of the promotion-winning team in 1958. Although West Ham struggled in the First Division they won the F.A. 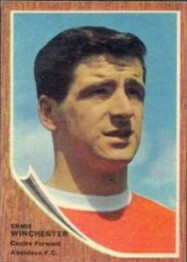 Cup in 1964 with Bond in the right-back role. In January 1966 Bond transferred to Fourth Division Torquay, helping them to promotion in that season. After retiring from playing in 1969 Bond moved into management with a number of clubs including Bournemouth, Norwich City and Manchester City. He was manager of City for their F.A. Cup Final appearance in 1981. He also twice managed Ted MacDougall, at Bournemouth and Norwich City. Hull City (4), Hartlepool United (34), Rochdale (44), Derby County (107). Les Green made his League debut with Hull City as a youngster, making four appearances before returning to non-League football for a few years. He returned to League football with Hartlepool in the Fourth Division in July 1965. At the end of the 1966/67 season he was transferred to struggling Rochdale where he played for only one year before transferring to Second Division Derby for a fee of £8,000. In his first season with Derby they won the Second Division championship. He played for County for two more seasons, though left before their Championship winning season in 1971/72. The 1970/71 A&BC Orange Back card notes "Made a tremendous impression last season, his first in the First Division, when his brilliant performances saved Derby from defeat on occasions". The Top Sellers Football 72 card notes "A bit on the small side for a goalkeeper, at 5ft. 9in., but has given Derby great service since joining them from Rochdale after being with Hartlepool. Born in Atherstone, Green has made over 100 senior appearances for Derby". Coventry City (257), Plymouth Argyle (57), Brighton and Hove Albion (64). Ernie Machin signed professional terms with Third Division Coventry just before his 18th birthday. 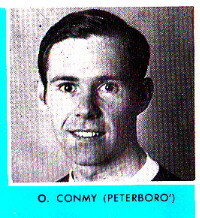 He experienced promotion to the Second Division in 1964, then the Second Division title in 1967 as Coventry won promotion to the top flight for the first time in their history. See more of Ernie Machin on his Nigel's Webspace Player Page. Kilmarnock (57), Luton Town (25), Partick Thistle (59), Motherwell (88), Celtic (55), Hibernian (67), Dunfermline Athletic (20), Clyde (12). Centre-forward and prolific goal scorer who began at Kilmarnock and was such a success that he was picked up by high-flying Wolves in 1959, though he never started in the first team. He moved to Second Division (newly relegated) Luton Town shortly afterwards, then back to Scotland. After time with Partick Thistle he moved to Motherwell, then on to Celtic in June 1965. McBride was a success at Celtic until an injury which meant he lost his first team place, including in the 1967 European Cup Final (he was a member of the squad, but didn't play). Later moved on to Hibs, Dunfermline and Clyde. The 1967/68 Typhoo Tea card states: "A much-travelled 'Anglo-Scottish' footballer... He regards being signed by Celtic as the biggest thrill in his career so far. With 2 full caps against Wales and Ireland and 4 League medals, he has played in many important cup matches in a professional career of nearly 10 years". The 1971/72 A&BC Chewing Gum (Scottish) Purple back card states "Bought by Dunfermline during the season 1970/71 from Hibs in a successful attempt to help the club stay in the First Division. Probably the most experienced centre-forward... Unsuccessful in England but a star turn in Scotland". Blackpool (33), Everton (402), Tranmere Rovers (17). Keeper who began with Blackpool in the First Division in 1960, signing professional terms in 1961. Less than a year later he was signed by Everton for a then record fee for a goalkeeper. Over the next 11 years with Everton he won the First Division title in 1963 and 1970 and an F.A. Cup Winners medal in 1966. He played in every League game in the 1971/72 season, but then retired in 1973, his last League game for Everton being at Newcastle on April 25 1973 (where he kept a clean sheet). The FKS 1969/70 album notes "Redoubtable and fearless custodian who cost Everton £27,500 when they signed him from Blackpool in March 1962. Has won Youth and Under-23 honours and made his initial League appearances as a 17 year old in 1960/61". Bristol Rovers (424), Preston North End (49), Walsall (24), Swansea Town (16). Forward who joined local side Bristol Rovers as a junior, signing as a professional in the season Rovers won the Third Division (South) Championship. Through the 50s Rovers and Biggs enjoyed a long spell in the Second Division, ending when he was transferred to fellow Second Division side Preston North End in July 1961 (at the end of that season Bristol Rovers were relegated, Preston finished 10th). In October 1962 Biggs transferred back to Rovers where he spent a further five and a half years, this time in the Third Division. 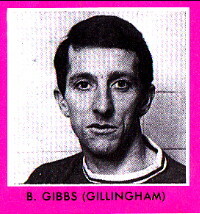 Towards the end of the 1967/68 season Biggs was transferred to Walsall who were aiming for promotion. His final season in the League was 1968/69 when he was transferred in November 1968 to Fourth Division Swansea Town. Overall Alfie Biggs made 513 League appearances. Italian-born striker whose family moved to Wales in 1955. He joined Swansea Town as an apprentice in 1962, going on to make 5 League appearances before returning to Italy in 1966. Chinaglia was a member of Italy's 1970 World Cup shortlist, but didn't make the final squad. He travelled to Germany for the 1974 World Cup, playing in two groups games, a 3-1 win over Haiti and a 2-1 defeat to Poland which saw Italy eliminated. Chinaglia was substituted in both games. In total he made 14 international appearances for his country. In 1976 Chinaglia moved to the US to play for the New York Cosmos where he became one of the greats of the US game and the NASL's leading all-time goal scorer. The FKS Publishers 1974 World Cup album notes "Was once given a free transfer by Swansea. Then went to Massese in Division Three in Italy. 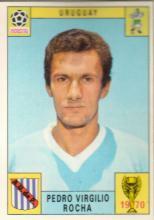 Joined Lazio in 1969 from Internapoli. Centre-forward who has since become a full international. aged 26, seven caps". Millwall (523). Joined Third Division Millwall in 1965, and enjoyed promotion though he did not play for the first team in that season. Made his League debut the following season as Millwall enjoyed a steady run in the top half of the Second Division. Suffered relegation in 1975, then instant promotion the following season. Following relegation again in 1979 Kitchener finished his playing career in the Third Division in 1982. The FKS 1970/71 album notes "Tall, well-built centre-half who was groomed by Millwall via their junior ranks. Was on apprentice forms for a while and then turned to the paid ranks in August 1965. Has become a highly prized member of the team". The Barratt 1972/73 Soccer Stars card notes "Barry, a giant of a player was born in Dagenham. He took over as centre-half at the age of 19 and has been an ever present in the Millwall team. Commanding in the air, he has been the subject of enquiries from first division clubs who would pay £100,000 for him without any trouble. He is 13st 8lbs and 6ft 1½ins"
West Bromwich Albion (403), Birmingham City (5). Joined West Brom from Garrards F.C. in 1944. The Rothmans Football League Players Records book records "Tall, blond, attacking left half who, after waiting many years in the shadows, finally won an England cap against Ireland in 1954. One of the best wing halves of that period with a long stride and terrific shot. Converted from inside forward, championing the long defence splitting pass, Ray Barlow was almost 'Buchanesque' in style and technique. Often played up front when required, was awlays a dander within shooting distance.... the proud possessor of a 1954 F.A. Cup winning medal against Preston". Bolton Wanderers (166), Portsmouth (89), Brighton and Hove Albion (50), Reading (14), Darlington (3). Signed professional with Bolton in July 1963, the same season that Bolton were relegated from the First Division. Played for six seasons with Bolton before a transfer to fellow Second Division side Portsmouth. Moved down to the Third Division with a transfer to Brighton in November 1971, but won promotion with the Seagulls at the end of that season. Brighton were relegated the following season. In 1973 Bromley transferred to Fourth Division Reading. The 1971 IPC My Favourite Soccer Stars, Red back card presented with the Tiger comic states 'An experienced and skillful midfield schemer who joined Pompey in November 1968 for £25,000 from Bolton Wanderers. As a native of Burnley, he started with Bolton as a junior and played in 150 League games before his move to Portsmouth. Has now passed 250 first-class games'. Stoke City (95), Shrewsbury Town (117). Stoke City were promoted into the First Division in 1963, and over his time with City Bridgewood enjoyed life in the top flight, though he was never an automatic first team pick. In February 1969 he was transferred to Third Division Shrewsbury Town where he played more regularly in the first team. The FKS 1968/69 album notes 'Speedy winger who has also been used at inside-forward where he has shown useful distribution. Joined City's staff from school and made his debut at 16 after working through junior sides. Turned professional after apprenticeship in October 1961'. Sheffield Wednesday (352), Peterborough United (12), Aldershot Town (106). Joined Sheffield Wednesday from Dundee St. Stephens in 1952. Suffered relegation from the First Division with the Owls in 1955, but then promotion as Second Division champions in 1956, followed by relegation again in 1958, and immediate promotion, again as champions, in 1959. In 1961 Sheffield Wednesday finished second in the First Division as part of a run of six seasons in the top 10 in the top flight, during which time McAnearney was club captain. In November 1965 32 year old McAnearney transferred to Third Division Peterborough for a short stay before moving on 4 months later to Fourth Division Aldershot where he finished his playing career. Czechoslovakian midfielder who made 47 international appearances for his country. The FKS Mexico 70 album notes 'Lanky ex-youth star of Spartak Trvana who has a precise manner in midfield and a fine left foot. Came into prominence during the South American tour of 1966, played in six qualifying games and has 19 full caps. Named Czechoslak Footballer of the Year in 1969. Played in all three group games in the 1970 World Cup tournament, though Czechoslovakia were defeated in each. Was Chairman of Spartak Trvana at the time of his death. Tottenham Hotspur (182). Joined Tottenham from Finchley F.C., first playing as an amateur before signing as professional in June 1953. 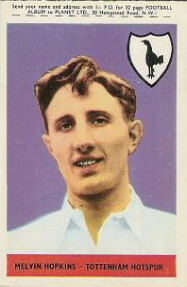 Remained with Spurs for his whole League career before retiring due to injury in 1958. Made one international appearance for England in 1953. Brilliant Brazilian who turned professional at the relatively late age of 20. He played in Brazil for 10 years before a move to Italy, though that lasted for only one season before he returned home. Made 60 international appearances for his country. Played in the 1982 and 1986 World Cup Final tournaments. Burnley (426). Made his League debut for First Division Burnley in 1951 as a 21 year old. Became a team regular as Burnley were established as a top-ten First Division side through the 1950s. In 1960 Burnley won the First Division championship, pipping Wolves by one point (Wolves had won the Championship the previous two years). Captain Jimmy Adamson played in every League game that season. 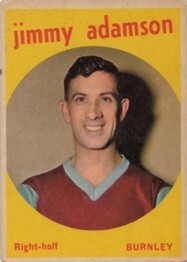 He also captained Burnley in their 1962 F.A. Cup loss to Tottenham Hotspur. 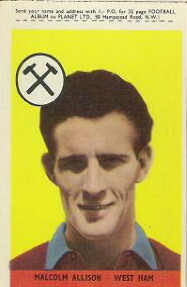 Adamson made his final League appearance for Burnley, his only club, in 1964, aged 34. Perhaps surprisingly, Jimmy Adamson was never capped at international level. Adamson remained at Burnley and was made manager in February 1970. Unfortunately for Adamson and Burnley they were relegated at the end of the 1970/71 season, ending their run of 24 years in the top flight. Amazingly Adamson's Burnley career had begun in the season they were promoted to the First Division, 1947 (the same year they were beaten F.A. Cup finallists as a Second Division side). 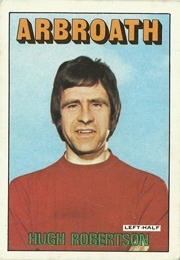 Adamson stayed with Burnley, achieving promotion back to the First Division in 1973. Hungarian international striker who played his whole career with Ferencvaros between 1952 and 1974, scoring 256 goals in 351 appearances. He made his international debut in 1959, and played in the 1962 and 1966 World Cup Final tournaments. In the 1962 tournament he was awarded the Young Player of the tournament. He played a total of 75 times for Hungary, scoring 31 goals. Albert won the European Footballer of the Year award in 1967. The 1965/66 Reddish Maid card notes 'First coming into prominence during his Under-23 internationals, quick-raiding Centre Forward Florian Albert's positional play creates many scoring opportunities for his colleagues'. Linfield, Hibernian, Sunderland (85). Northern Ireland international Parke transferred from Hibs to First Division Sunderland in November 1964. He made a total of 85 League appearances for Sunderland in a period where they never rose above the bottom half of the First Division. See all of Parke's Sunderland appearances at this site. In early 1968 he moved to play in Belgium from where apparently, he retired. John Parke won a total of 14 international caps. 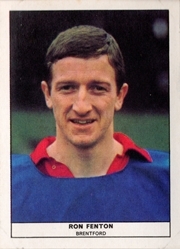 John Parke (pictured) is featured in the first ever, very rare,1967/78, FKS publishers sticker album. Since these stickers had nothing but the player name on the back, and nothing printed in the album, there are no biographical details available from stickers. To the best of my knowledge this is the only football card or sticker that John Parke appeared on, making it truly a rare sticker. Dundee United (50), Aberdeen (43), Wolverhampton Wanderers (296), Celtic. Initially a forward, Munro played for Dundee United and Aberdeen in the Scottish First Division. He won a Scottish Cup Final Runners-Up medal in 1967. 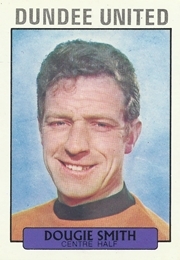 At the start of the 1968/69 season Munro moved to play for Wolves, where over time he was converted to a centre-back. In 1972 he won a UEFA Cup Runners-Up medal, followed by a League Cup Winners medal in 1974. 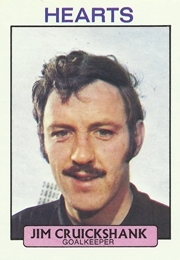 Munro made 9 full international appearances for Scotland between 1971 and 1975. 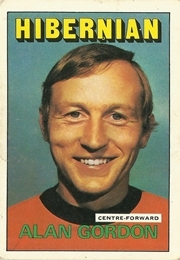 Munro was a stalwart for Wolves through the late 60s and 70s. Celtic (219), Middlesbrough (65), St. Mirren (22), Alloa Athletic (7). Joined Celtic in 1949 and went on to be part of the 1953/54 League and Cup double-winning team. Fernie was part of the Scottish squad for the 1954 World Cup Finals, held in Switzerland. He played in both Group games, with Scotland losing both games and scoring 0 - 8. He won League Cup and Scottish F.A. Cup winners medals in the mid-1950s, and represented his country again at the 1958 World Cup Final tournament in Sweden. He played in one of the group games, making his 12th and last appearance for his country. 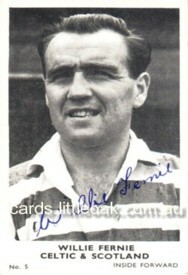 In December 1958 Willie Fernie joined Second Division Middlesbrough in the English League. He stayed for two years before returning to Celtic in 1960. Later in his playing career he moved on to St. Mirren and Alloa Athletic. When his playing days were over he rejoined Celtic in 1967 as reserve team coach under Jock Stein. He was also manager of Kilmarnock for four years in the 1970s. Manchester City (448), Stoke City (115), Bolton Wanderers (40), Rochdale (24). Joined Second Division Manchester City in 1962 as a youth, signing professional terms in 1964. Doyle made his first team debut late in the 1964/65 season, then was part of the Second Division Championship winning side of 1966. Within two years the City side had gone on to win the First Division Championship, just tipping their local rivals. The following year City defeated Leicester City 1-0 to win the F.A. Cup. In March 1970 City won the League Cup, with Doyle scoring a goal in the final. In April 1970 City travelled to Austria where they defeated Górnik Zabrze to win the European Cup Winners Cup Final. The City side of this period, which featured Doyle, Corrigan, Book, Pardoe, Oakes, Bell, Lee, Summerbee perhaps should have gone on to win more. He became club captain in 1975, and in 1976 Doyle captained the side which won the League Cup, though success in the First Division continued to elude them. After a long career with Manchester Doyle was transferred to Second Division Stoke City in June 1978. In his first season with the club he helped them regain promotion back to the First Division. Mike Doyle made his England debut in March 1976 against Wales, going on to make a total of 5 international appearances. The 1968/69 FKS sticker notes: 'Local product and a graduate of the City's youth team. Made his League debut at 18 just over three years ago. Operates either as a mid-field schemer or in a more positive role in attack. Quick, versatile'. The Top Sellers Football 72 card notes: 'Local-born Doyle is a creative midfield player. Sylish in his play he scarcely wastes a pass and forges a strong link with Bell'. The FKS Soccer 82 album notes: 'Defender. Very cool England international who reads the game exceptionally well. Bargain buy from Manchester City in 1978 for £50,000. His experience was a major factor in Stoke's return to Division One'. Dutch international goalkeeper who played for Emmen, Sparta Rotterdam and PSV Eindhoven before moving to the US where he played in the NASL. After retiring from playing van Beveren stayed in the US in coaching roles. The FKS Argentina 1978 album notes 'Goalkeeper who was first capped for Holland in November 1967 against USSR. Now plays for PSV Eindhoven but was previously with Sparta Rotterdam. One of the most experienced Dutch players in his position. aged 34. Has 32 caps'. There is an obvious inconsistency between van Beveren's age in the FKS album and his recognised date of birth. van Beveren was included in both the 1974 and 1978 FKS World Cup albums, though he did not make an appearance at either competition. Kilmarnock, Morton. 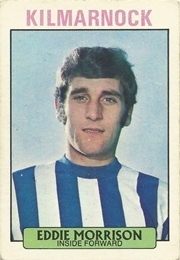 Signed for Kilmarnock in 1967, going on to make over 350 appearances for the club. Played his last League game for Kilmarnock in 1976 before a move to Morton. Morrison returned to Kilmarnock in 1985 as manager, and had coaching roles with Morton. East Fife (62), Blackpool (157), Luton Town (151), Portsmouth (69), Wigan Athletic (67). Began with East Fife in 1944, gaining his first of 13 Scottish international caps in 1950. Transferred to First Division Blackpool in December 1950, helping them to a 3rd place finish in that season. Brown remained at Blackpool for six years, though he missed the 1951 and 1953 F.A. Cup Finals through injury. Travelled to Switzerland to represent his country in the 1954 World Cup Finals tournament, playing in both the 1-0 loss to Austria and the 7-0 loss to Uruguay. Brown featured in Blackpool's 2nd place finish in the First Division in 1956, their best ever finish, followed by 4th place in 1957. 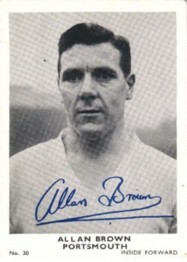 In February 1957 Brown transferred to Luton Town, remaining in the First Division. Though Luton struggled to emulate Blackpool's League success they did reach the F.A. Cup Final in 1959, giving Brown his first Final appearance, though they went down 2-1 to Nottingham Forest. Brown was relegated with Luton in 1960, and played in the Second Division until transferred to struggling Portsmouth in March 1961. His efforts came to nothing as Portsmouth were relegated, meaning that Brown played the 1961/62 season in the Third Division, eventually winning a Championship medal as Portsmouth were promoted back to the Second Division. Allan Browne moved into player-management with non-League Wigan in 1963 enjoying success in the Cheshire League, then moved to his old club Luton (in the Fourth Division), helping them win the Fourth Division title in 1968. This was followed by managerial spells with Torquay, Bury, Nottingham Forest and Blackpool. St. Mirren (134), Hibernian (18), Norwich City (6). 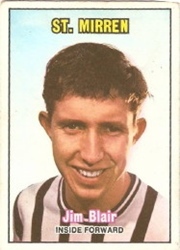 Striker who began his career in St. Mirren's Second Division title winning season in 1967/68. He played two more seasons for St. Mirren in the First Division before a transfer to Hibs, but returned to St. Mirren within a year. Relegated in 1971 he played on in the Second Division until a transfer south to Norwich City in September 1972. He made two appearances as a substitute early in his time with Norwich, but struggled for a first team place. He made two full appearances later in the season which saw Norwich avoid relegation (just). He made just one appearance in 1973/74, at home to Manchester City on December 29th, in a season which saw Norwich firmly rooted to the bottom of the table and subsequently relegated. Blair's contract was terminated soon afterwards. He moved to Belgium where he finished his playing career and lived out the remainder of his days. Exeter City (332), Blackpool (57), Plymouth Argyle (10), Swansea City (1), Newport County (20). Centre-forward who joined newly-promoted Third Division side Exeter at the start of the 1976/77 season. Stayed with Exeter for two years before a November 1978 transfer to newly-relegated Blackpool who were keen for a quick return to the upper Divisions. Despite his goalscoring Blackpool struggled in the Third Division. Kellow returned to Exeter in March 1980 staying for four years before some quick moves. He returned to Exeter for his third spell, ending his career there in January 1988. The 1978/79 Sun Soccercard notes 'Prolific goalscorer signed from Western League side Falmouth Town in July 1976. Scored 19 League goals in 44 appearances in his first season in 1976/77 and in the 1977-78 campaign was top scorer for the Devon club with 14 League goals in 46 League appearances. Altogether he had netted 52 League goals in 114 appearances before the 1978/79 season started'. Manchester City (334), Preston North End (68), Rochdale (13). Local-born lad who debuted for City in 1961 in the First Division. The following season City were relegated, with Young then playing three seasons in the Second Division. Promoted back to the First Division in 1966, Young was part of the Joe Mercer squad that won the First Division championship in 1968, just pipping local rivals United. The following year City won the F.A. Cup 1-0, Young scoring the goal against Leicester City. Young also scored in the 1970 European Cup Winner's Cup final, City winning another trophy. In January 1972 Young left City for Second Division Preston. He stayed for 2½ seasons, leaving when Preston were relegated at the end of the 1973/74 season. He moved to Rochdale, who had been relegated that same season from the Third to the Fourth Division, where he stayed for one season. The 1968/69 FKS sticker notes 'Tall clever, midfield player and a junior discovery who made his initial appearance at 17 in November 1961. Has appeared in over 250 League games for the club turning out in every forward berth. Was top scorer in the last promotion season'. The Top Sellers Football 72 card notes 'Tall, long striding Young scored the goal which won City the F.A. Cup in 1969. Difficult to shake off the ball he usually operates on the left-wing but can play in any forward position. Has made more than 300 appearances for City'. Bolton Wanderers (452). Bolton-born Lofthouse joined Wanderers as a 14 year old amateur in 1939, making his League debut after the Second World War. An old-style centre-forward he made his England debut in 1950, the first of 33 international games in which he scored an incredible 30 goals. He was Footballer of the Year in England in 1953, and played in the 1953 and 1958 F.A. Cup Finals. 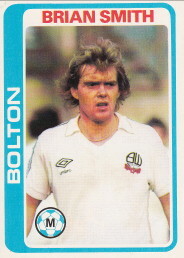 After his playing career ended he took on a number of roles at Bolton, including Club President. A one-club man, and a great player in the history of English football. Top class Feyenoord player who played in the 1970 European Cup win over Celtic. Made 38 international appearances for the Netherlands between 1956 and 1969. Moulijn was featured in the 1965/66 Reddish Maid set which noted 'Outstanding amongst the players to come from the Netherlands, Coen Moulijn, Fevjenoords speedy Outside-Left, scored against England in the Wembley Centenary game'. The 1970/71 FKS album sticker notes 'Tricky little left-winger who can also scheme. Has played well over 500 games for his club and is now over 33. Has been fully honoured by his country on 38 occasions and won the first such honour in April 1956 vs. Belgium'. Maccabi Tel Aviv, Liverpool (16 + 2), Rangers (7). Avraham (Avi) Cohen was a defender, and member of the Israeli national team, who joined Liverpool in July 1979. This was the time at the end of Liverpool's incredible decade where they were Champions in 1973, 1976, 1977, 1979 and again in Avi's first season 1980, and runners-up in 1974, 1975 and 1978. Cohen made his League debut for Liverpool on September 15, 1979 at Elland Road against Leeds United, a 1-1 draw. His second appearance didn't come until the penultimate League game of the season when he scored in an important 4-1 win over Aston Villa at Anfield. The following season Avi Cohen made 13 League appearances, mostly at left back, though Liverpool struggled to a 5th place League finish. Cohen's Liverpool contract was cancelled in November 1981 as the Reds used only 16 players in a season where they again finished as Champions. Avi Cohen made a total of 51 international appearances for Israel, with his final appearance in 1988. The FKS Soccer 82 album notes 'Has yet to make a full impression at Anfield, where the fight for first team inclusion is so competitive'. Burnley (216), Tottenham Hotspur (188), Orient (76). Ralph Coates joined First Division Burnley in 1961, signing as a professional in 1963. In the late 50s and early 60s Burnley were a top club, with a run of top-10 finishes in the top Division, plus some memorable runs in the F.A. Cup, including semi-finalists in 1961 (losing to Tottenham in the semi-final) and finalists in 1962 (losing again to Tottenham). Coates enjoyed many years at Burnley before the club were relegated at the end of the 1970/71 season. In May 1971 Coates was transferred to, you guessed it, Tottenham Hotspur for a £200,000 fee. He remained at Tottenham for over 7 years, though some believe that he never enjoyed the same form as he displayed at Burnley. Ralph Coates was selected as part of the initial England squad for the Mexico 70 World Cup, but didn't make the final squad. He had made his international debut against Northern Ireland just before the tournament, and made three further international appearances in 1971. 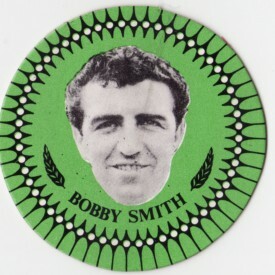 The FKS 1968/69 sticker notes 'Fair-haired, fast, nippy raider who can play on the wing or in the middle. Comes from Hetton-le-Hole and made his Burnley bow against Sheffield United in December 1964. A professional since May 1963, he has Under-23 honours'. The Top Sellers Football '74 card notes 'Spurs paid £200,000 to Burnley for Coates in 1970, but he has never settled into his top form in London. However, he repaid part of his transfer money with the League Cup winner against Norwich last March'. Queen's Park (30), Hearts (394), Dumbarton (3). 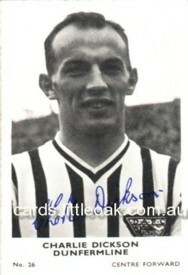 Jim Cruickshank began his League career at Queen's Park, turning professional in 1960, the same year he transferred to Hearts. After an injury to the regular keeper, Gordon Marshall, Cruickshank appeared in the 1961 Scottish League Cup Final replay, unfortunately not coming away with a winners medal. He made his international debut in 1964 in Hanover against West Germany, but it was his only appearance until 1970 when he gained four consecutive international caps. He then had another long gap before making his sixth and final appearance for Scotland in December 1975 against Rumania. He conceded a total of 3 goals in his 6 games for Scotland. Cruickshank was Hearts goalie for 17 years. The 1969/70 A&BC Scottish blue back card notes: "...Cruickshank was signed from Queen's Park in 1960. Previously with Drumchapel Amateurs, he has also played with the Under 23's and the Scottish League". Huddersfield Town (40), Grimsby Town (294). 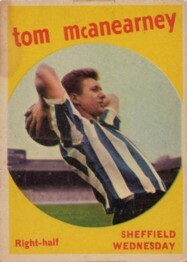 Ron Cockerill signed professional for Huddersfield Town in 1952, the same season that the Town were relegated from Division One, ending a 31 year stay in the top flight. The following season Huddersfield were promoted back, this time for only a three year stay, though in 1954 they finished third in the First Division. Cockerill played for Huddersfield at centre-half, making 40 League appearances in his eight year stay. In 1958/59 he was transferred to fellow Second Division side Grimsby Town, only to see them relegated in his first season with the club. Cockerill, now playing at wing-half, helped to gain promotion at the end of the 1961/62 season, followed by relegation again in 1964. 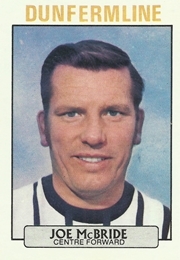 Cockerill ended his long career with Grimsby at the end of the 1967/68 season as they were relegated to the Fourth Division (for the first time). Ron Cockerill is fondly remembered by Grimsby fans, as a great header of the ball, penalty-taker and gentleman. Manchester City (44), Torquay United (240), Bournemouth (150), Exeter City (4), Norwich City (30). Scottish born John Benson signed professional with First Division Manchester City in July 1961 and played for three seasons, including relegation in 1963. In June 1964 he signed for Fourth Division Torquay where, in his second season, they won promotion to the Third Division. In 1968 they only just missed out on promotion to the Second Division. In the 1970/71 season Benson was signed by Fourth Division Bournemouth for £12,000, where, playing in the same team as Ted McDougall and Phil Boyer, Bournemouth were promoted. In December 1973 Benson was signed by his old Bournemouth manager John Bond to help Norwich City, then struggling at the foot of the First Division. Bond also brought in MacDougall, Boyer and Machin from his Bournemouth days, but to no avail with Norwich finishing the season bottom of the Division. Half-way through the following season Benson was back at Bournemouth as player-manager, though he couldn't help them avoid relegation back to the Fourth Division. In subsequent years John Benson had several management spells, and senior manager roles with a number of clubs. Blackburn Rovers (581). 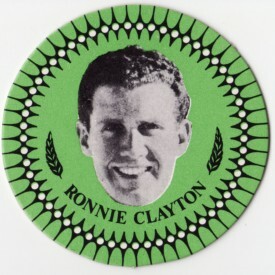 Ronnie Clayton played for Blackburn Rovers in the Second Division through the early 1950s. They were consistently in the top six of the Division over this period, but unable to gain promotion until a second place finish in 1958. During that period Ronnie Clayton had made his England debut, against Northern Ireland at Wembley on November 2, 1955. He retained his England spot for most of the next 5 years, eventually losing his place to Bobby Robson. In 1958 Clayton travelled to Sweden for the World Cup tournament. He did not start in any of the group games, but was preferred to Eddie Clamp in the play-off game (a 1-0 loss to the USSR). Clayton played in the 1960 F.A. Cup Final where his team lost 3-0 to Wolverhampton Wanderers. Rothman's Football League Player Records notes that 'Those who saw him play will always remember Ronnie Clayton for grand sportsmanship allied to great ability'. 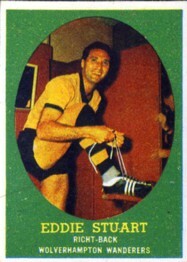 The 1970/71 Tonibell Team of All Time card (pictured) notes 'Took over from Billy Wright as captain of England in 1959. Made his Football League debut for Blackburn Rovers in 1950/51 when aged just 16. Rovers was his only League club and he won a total of 35 England caps'. Tottenham Hotspur (219), Brighton and Hove Albion (58), Bradford Park Avenue (30). Mel Hopkins was a Welsh left-back who played for Spurs from 1954 until 1963, including in the famous League and F.A. Cup double season of 1960/61. He played international football for his country, including in the 1958 World Cup final series in Sweden. He played in all three group games, and the quarter-final game which saw Wales go down 1-0 to a Pele goal for Brazil (on Pele's international debut). After a spell with Brighton in the Fourth Division he moved out of the English game, returning in 1969 to play for Bradford Park Avenue, shortly before their demise from the Football League. Charlton Athletic (2), West Ham United (238). Centre-half Malcolm Allison joined Charlton Athletic as a 17-year old during the Second World War. He played only two League games for the club before a 1951 transfer to West Ham United. He played for the Hammers for six years before a bout of tuberculosis ended up with his having a lung removed, precipitating an end to his playing days. He left football for a few years, then returned in the early 1960s as a manager. He established a reputation as an astute manager, and was brought to Manchester City in 1965 as assistant to Joe Mercer. Under their charge City enjoyed great success in the late 60s. He left City in 1973 and moved on to a tumultuous period with Crystal Palace. In the following 20 years he managed in excess of 15 other clubs. He was flamboyant and controversial - one of the larger than life figures in the game. Tottenham Hotspur (296), Port Vale (26), Nottingham Forest (68), Leyton Orient (29). 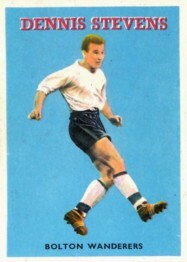 Inside-forward Baily joined Spurs as a 17 year old and stayed for 10 years, winning the Second and First Division titles in consecutive seasons. 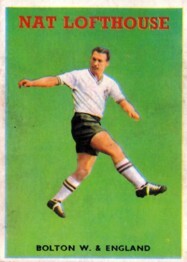 Based on this success Baily was included in the 1950 England World Cup squad, travelling to Brazil, and playing in the final group stage game, a 1-0 loss to Spain. He later played for Port Vale, Nottingham Forest and Orient, and once his playing career was over he joined Bill Nicholson as assistant manager at Spurs through the 1960s. Derby County (145), Luton Town (47), Notts County (5), Port Vale (18). Ian Buxton was one of the those talented sportsmen who signed professional for Derby County in March 1959 at the same time as he was playing cricket for Derbyshire. He continued on in both sports for the next 12 years, going on to be Captain of Derbyshire from 1970 to 1972. He made 142 League appearances for the Rams, scoring 42 League goals as centre-forward in a period which saw Derby County remain as a mediocre Second Division side (the year after Buxton left they began their amazing run to the top of the First Division under Brian Clough and Peter Taylor). In September 1967 Buxton transferred to Luton Town, and enjoyed a season which saw them top the Fourth Division. The following season in the Third Division Luton narrowly missed out on promotion again, achieving the feat the following year. Buxton transferred to Fourth Division Notts County in July 1969, then moved on to Port Vale five months later where he finished his League career. In November 1972 Ian Buxton was awarded a testimonial match, Luton Town vs. Derby County. Chelsea (74), Tottenham Hotspur (271), Brighton and Hove Albion (31). Centre-forward who signed professional at Chelsea in 1950, one of the first products of the new Chelsea youth team. Apparently lost his way at Chelsea after a promising start. Once touted as the 'next great discovery' of English football Smith had become overweight and sluggish. Transferred across London to Tottenham in 1955 Smith found his form again and became a Spurs legend, mostly playing alongside Jimmy Greaves. He played in the double-winning seasons of 1960/61 and scored in the winning F.A. Cup Finals of 1961 and 1962. In May 1963 Smith also played in the European Cup Winners Final which saw Tottenham defeat Atletico Madrid 5-1 in Rotterdam. In all he scored 176 goals in his 271 League appearances for the Spurs. Bobby Smith made his England debut in October 1960, playing against Northern Ireland in Belfast. He scored in a 5-2 victory, the scored two against Luxembourg 11 days later, then two more against Spain the following week. Despite this brilliant start to his international career his appearances in 1961 and 1962 were limited. His last international appearance was in the first ever floodlight match at Wembley in November 1963, again against Northern Ireland, and he again scored. Smith ended up with 13 goals from his 15 international appearances. 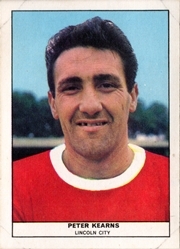 Portuguese centre-forward who played for Benfica from 1959 until 1971, moving on to more success at Vitoria Setubal. He made 33 international appearances for Portugal, including playing in the 1966 World Cup tournament in England. He played in all of Portugal's games in the tournament, which finished with Portugal in 3rd place. The Sun Soccercard notes 'Tall central striker who won many admirers in the 1966 World Cup Finals played in England. He has already played at Wembley in 1963 when he was on the losing side for Benfica in the European Cup Final won by Milan 2-1. Then in 1965 he played in Milan when Benfica lost 1-0 in the Final won by Inter. Noted for his great skill in the air'. Dunfermline Athletic (113), Leicester City (103), Newcastle United (43), Sheffield Wednesday (101), Chesterfield (10), Stenhousemuir (18). Scottish winger who signed for Leicester City in May 1965. Under Jock Stein, Sinclair had done very well at Dunfermline, including an appearance in the April 1965 Scottish Cup Final and a number of appearances in Fairs Cup matches, prompting the First Division Foxes to sign him for £25,000. Playing alongside Derek Dougan at Leicester he was popular and effective, and it was therefore perhaps surprising that after only two and a half seasons Leicester cashed in with a big-money transfer to Newcastle. In his book Newcastle United: The 1968-69 Fairs Cup Story, Jim Jeffrey notes that Sinclair at times 'struggled to win over a critical Gallowgate support'. 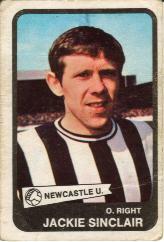 He stayed at Newcastle for less than two years before moving to Sheffield Wednesday where the club was relegated after a bottom place finish in 1970. He remained for three seasons in the second Division before returning to play in Scotland. The 1968/69 A&BC Chewing Gum yellow back card notes 'Newcastle's most recent capture, he joined them from Leicester City for £70,000 in December 1967. Formerly with Dunfermline, he moved to Leicester City in May 1965, and was their leading scorer in the 1966/67 season with 22 goals. A fast tricky winger, he has won Under 23 and full international honours for Scotland'. Bristol City (195), Huddersfield Town (32), Cardiff City (182), Bournemouth (30), Millwall (71), Cardiff City (21), Newport County (80). Striker Brian Clark began his professional career in the Third Division, making his debut in 1961. In 1965 Bristol City won promotion to the Second Division, where they enjoyed an excellent 5th place finish in 1966. In October 1966 Clark transferred to Huddersfield who had finished one place above the Robins in the previous season. Clark didn't stay long, moving to Cardiff City in February 1968. Cardiff enjoyed good seasons with Brian Clark up front alongside John Toshack, finishing 5th in 1969 and 7th in 1970 in the Second Division. The following season they finished 3rd, narrowly missing out on promotion to the top flight. In October 1972 29 year old Clark was sold to Third Division Bournemouth, where he stayed less than 12 months before a move back to the Second Division to play for Milwall. At the end of the 1974/75 season Clark rejoined Cardiff after they had been relegated from the Second Division. In 1975/76 he helped them win immediate promotion back to the Second Division. Clark ended his League career with three seasons with Newport County. In all he made over 600 League appearances, scoring over 200 League goals. The 1971/72 A&BC Chewing Gum purple back card notes 'One of the leaders of the Cardiff attack, and a prolific goalscorer throughout his career, Clark formed a dangerous double-spearhead to the forward line with John Toshack before the latter was transferred to Liverpool during the 1970/71 season'. Orient (5), Colchester United (17). Inside-forward who first played for Second Division Orient in November 1970, scoring on debut having just turned 18. His appearances were limited that season, and non existent the next before he was transferred to Fourth Division Colchester United in May 1972. He made a bright start to the 1972/73 season, appearing in most of the early season games, but Colchester found themselves at the foot of the League and Moss' appearances dwindled. His final League game was as a sub at Newport County on 6 January 1973. His contract was cancelled in February 1973, leaving him with 16 League appearance and one substitution for Colchester. He went on to be a prolific player and scorer in non-League football in a career lasting until the late 1980s. Grimsby Town (60). Full-back who made his debut for the Mariners at Watford on 6 September 1977 in the fourth game of the season. He then went on to play in 41 of the remaining 42 games of the season with Grimsby finishing 6th in the Fourth Division. The following season saw him play in 15 of the first 16 games before losing his place. Grimsby went on to finish 2nd and gain promotion. In the 1979/80 season Mawer made three appearances as a substitute, the last on 1 March 1980 in a season where Grimsby topped the Third Division table. Mawer's Grimsby contract was ended in April 1981 due to the seriousness of an on-going knee injury. Later in life he suffered from serious kidney problems. Manchester City (258), Wrexham (132). Manchester City wing-half in the 1950s, including appearances in the 1955 and 1956 F.A. Cup Finals. Became City captain in 1957. In 1961 moved to Fourth Division Wrexham as player-manager, gaining promotion at the end of his first season in charge, 1961/62. After a promising 9th place finish in the Third Division in 1963 Wrexham were back in the bottom Division after relegation in 1963/64. Barnes stayed in or close to the game for the remainder of his life, in management, coaching and scouting roles. Italian defender who played for the national team at the 1966 and 1970 World Cup tournaments. In 1966 he played in the first group-stage game, a 2-0 win over Chile, but was not included in the next two games which saw Italy lose both and crash out. In 1970 he came on as a 37th minute substitute in the first group game, and remained in the team for the next two games which saw Italy go through without conceding a goal. He then played in the knockout games and the 4-1 World Cup Final loss to Brazil. Apparently he swapped shirts with Pele after the game! Made a total of 37 international appearances. Everton (383). Liverpool-born Everton centre-half, who eventually became club captain. Began with Everton from school, making his first-team debut in the First Division in 1950, but relegated at the end of the 1950/51 season, Everton having finished bottom. Promoted back again three years later in 1954. Everton struggled in the First Division in the 1950s, never finishing higher than 11th. Jones, however, was dependable and a favourite in the centre of defence. Sunderland (75), Blackburn Rovers (59), Scunthorpe United (60), Brentford (139), Halifax Town (101), Stockport County (164). Forward who made almost 600 League appearances, plus four international caps for Northern Ireland over a 20 year playing career. A prolific goal scorer, though did not score for Northern Ireland. Played out the last few years of his League career with Stockport County, mostly at or near the bottom of Division 4. Towards the end of his career he shifted to wing-half (midfield), supporting the forward line which, by that time at Stockport, included Wyn Davies. Played his last League game at Crewe on 3 April 1976, suffering a 3-1 defeat. Clyde (90), Preston North End (15), Rangers (122), Hibernian (39), Third Lanark (24), Stirling Albion (12). Half-back who won three Scottish League titles with Rangers in the 1950s. Began his international career in 1956. Was a member of the 1958 World Cup squad in Sweden, on the subs bench for the first and second games against Yugoslavia (1-1 draw) and Paraguay (3-2 defeat). Was in the team for the last group stage match, a 2-1 loss to France, with Baird scoring in the 58th minute. He ended up with seven full international caps. Appointed manager of struggling Stirling Albion at the end of his playing career he stayed for four seasons. Aberdeen (26). Hungarian midfielder who played initially for Ferencvaros, including international caps for Hungary from 1964 until 1968. Moved to Germany and played for Hertha Berlin but was found guilty of taking bribes and moved to Scotland where he played a single season with Aberdeen. Later moved into management, mainly in Hungary. Charlton Athletic (337), Mansfield Town (73). 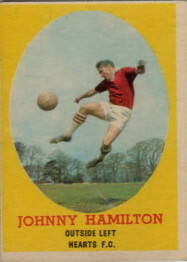 Defender who signed for Second Division Charlton in 1967. Narrowly missed promotion in 1968/69, then narrowly missed relegation in the following two seasons, before dropping to the Third Division in 1972. Won promotion back to the Second Division in 1974/75. Transferred to Second Division Mansfield Town in February 1978, though they were relegated that season. Scored a number of goals in his career, including through penalties. Not known to have appeared in football cards of the period of this website. Dundee (223), Dunfermline Athletic (172), Arbroath (40). Winger who won the Scottish League Championship in 1962 with Dundee. Made a single full international appearance for Scotland in 1961. Huddersfield Town (85), Bristol City (355). Centre-half who signed for Huddersfield in 1952, making his first-team debut in the First Division in 1954. Stayed with Huddersfield through their relegation in 1956, playing in the Second Division with Bill Shankly as his manager until his transfer to newly-relegated Bristol City in the Third Division in October 1960. Helped the Robins improve, leading to promotion back to the Second Division at the end of the 1964/65 season. Connor played out the remainder of his League career in the Second Division. Not known to have appeared in football cards of the period of this website. Burnley (318), Blackburn Rovers (96), Blackpool (1). Burnley keeper who joined the club as an apprentice in 1954, making his first team debut in the First Division in 1956. Burnley at this time were a 'top 10 side', finishing 7th in 1956/57, 6th the following season, 7th the following, and then First Division Champions in 1960. With Blacklaw in goal Burnley finished 4th in 1961, 2nd in 1962 (losing the F.A. Cup Final the same season), and 3rd in 1963. They continued this excellent run through to 1966, after which they found things a bit tougher (culminating in relegation in 1971). At the end of the 1966/67 season Blacklaw left Burnley to join Blackburn Rovers in the Second Division, where he stayed for three seasons. Blacklaw was capped three times for Scotland in the 1963 to 1965 period. Rangers (33). German keeper who moved to Rangers in 1968. Played a number of games in the 1969/70 season, but struggled for a first team place after that. Was part of the squad for European Cup Winners' Cup Final win in Barcelona 1972, though did not come off the bench. Returned to Germany in 1973. 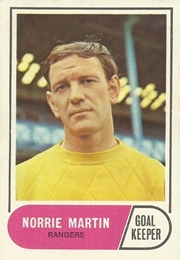 The 1969/70 My Favourite Soccer Stars card, presented free with Scorcher, notes 'German-born goalie who was unknown in Scottish football before last season when he joined Rangers and made his first team debut. This season he has established himself as a very capable 'keeper. He was a policeman in Dortmund before he took up football'. Hibernian (167), Leicester City (181), Peterborough United (5), Dunfermline Athletic (66), Partick Thistle (30), Berwick Rangers (26). Joined Second Division Leicester from Hibs in 1978 for £80,000, with the Foxes finishing the season in 17th position. The following year they were Champions, promoted back to the First Division. Unfortunately they lasted only one season. Leicester were promoted again at the end of the 1982/83 season with a third place finish. Smith played for Leicester City for 8 years, often wearing the captain's armband. The FKS Soccer 81 album notes 'Midfielder signed from Scottish club Hibernian in December 1978 after missing only one game for Hibs in the 1977-78 season. Born Scotland. Height 5.7½. Weight 11.9.'. Dundee (327). 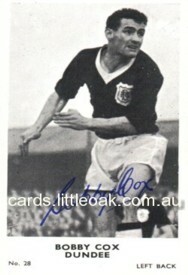 Local boy who joined Dundee in 1955 and played for 14 seasons, including winning the 1962 Scottish League title. Cox was Dundee captain and played alongside youngsters Ian Ure and Alan Gilzean. Appeared in losing Scottish Cup Final team in 1964. One of those special one-team captains who fans will always remember. Hearts (126), Dundee United (77), Hibernian (84), Dundee (36). Striker whose second ever appearance for Hearts was in a losing Scottish League Cup final team. Eventually won the League Cup in 1972 with Hibs. Played for four major clubs with 324 appearances over 15 years. The A&BC Chewing Gum, 1972/73 Scottish orange/red back cards notes 'Bought from Dundee United late on last season and had the distinction of leading Hibs to the Final of the Scottish Cup but unfortunately the Edinburgh club sustained a 6-1 defeat by Celtic at Hampden Park. He scored 7 goals for Hibs which added to the 9 he had netted for Dundee United gave him a grand total of 16'. Ironically Hibernian went on to defeat Celtic 2-1 in December 1972 to win the Scottish League Cup. Chelsea (107). Yugoslavian(Serbian)-born goalkeeper who joined Chelsea from FK Partizan for £75,000 late in the 1978/79 season. Chelsea had been struggling, relegated from the First Division in 1974/75, promoted back in 1977, but then finishing 16th in 1978. 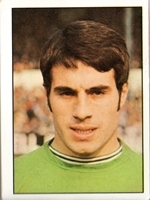 Chelsea still had Peter Bonetti and John Phillips as their keepers, but Borota went straight into the first team for a 0-0 draw home to Liverpool (eventual champions that year). Borota stayed between the sticks for the next 11 games, Chelsea winning none of them. He was dropped after a 5-2 drubbing at Highbury. Chelsea finished last and were relegated. The following season Borota made 41 from 42 League appearances, though Chelsea went nowhere. In 1981/82 Borota was ever present in the League, though Chelsea again finished 12th. Borota played his last game for Chelsea on November 7th, 1981, apparently falling out with the manager. He was transferred to Portimonense (Portugal) but never regained the form or popularity he had enjoyed at Chelsea. Everton (1), Scunthorpe United (77), Preston North End (127), Aston Villa (143), Bristol Rovers (81), Newport County (118). Began with First Division Everton but made only one appearance before transferring to Second Division Scunthorpe in 1960. Scunthorpe finished 9th in 1961, 4th in 1962, and 9th in 1963. During the 1963/64 season Godfrey moved on to Preston North End in the same Division, with whom he finished 3rd (while Scunthorpe were relegated in 22nd position). At the end of the 1963/64 season Preston were in the F.A. Cup Final, losing 3-2 to West Ham United, though Godfrey did not make the team. Godfrey stayed with Preston for four seasons before a switch to Second Division Aston Villa for the 1967/68 season. Villa were struggling, finishing 16th in 1968, 18th in 1969 and relegated to the Third Division (alongside Preston) in 1970. At the end of the 1970/71 season Godfrey transferred to Third Division Bristol Rovers. He went on to play for Newport County, then Bath City, becoming player-manager and enjoying a number of spells of club management. Brazil (30 international caps). Brazilian defender who played for Vasco de Gama, Boca Juniors and Santos in the period 1955 to 1967. Played in each game of the 1958 World Cup tournament, culminating in the Final 5-2 win over Sweden. 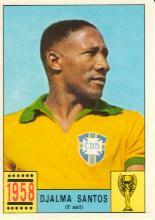 Did not appear in the 1962 World Cup, but was back again for Brazil's disappointing run in the 1966 tournament. Birmingham City (485). Birmingham City keeper who made over 700 appearances for the Blues, mostly in the Second Division but including stints in the top flight in 1948/49 (17th), 1949/50 (22nd) and from 1955/56 onwards until his retirement from playing. Was England goalkeeper 23 times, making his debut in November 1951 and his final international appearance in the 1954 World Cup against Uruguay. Was made Birmingham City manager in 1960 after his retirement and enjoyed four seasons, though the Blues struggled towards the bottom of Division One. In 1963 he was manager when the Blues won the League Cup against Aston Villa, the only major trophy they have won since they were formed as Small Heath Alliance in 1875. After he left Birmingham in 1964 he managed Bromsgrove Rovers and Atherstone Town. The Sun Soccercard notes "Goalkeeper who followed City as a boy and signed professional for his only club before the war". The Rothmans Football League Player Records book notes "Very cool and composed when on duty, was very unfortunate to have been England's goalie during the 1953 6-3 thrashing handed out by the marvellous Magyars, Hungary. Standing 6' 1", mustachioed and elegant, Gil really looked the part, the City goal remained for long spells intact as positional sense saved the day again and again. Twice helped Birmingham to promotion, he was one of the most loyal servants and will always be remembered by them". Falkirk (121), Everton (198), Southport (76). Classy full-back who joined Falkirk in 1952 and played in their 1957 Scottish F.A. Cup Final victory. Capped by Scotland for the first time on May 16 1955 against Portugal at Hampden Park. Scottish Player of the Year, 1957. Was part of Scotland's 1958 World Cup squad, though only played one game in the tournament. Parker was transferred to Everton for a £18,000 fee in June 1958. Enjoyed a number of seasons with Everton in the First Division, including a Champions Medal in 1963 during a very successful time for the Toffees. Joined Fourth Division Southport in 1965, aged 30, where he stayed for three seasons before moving to Northern Ireland as a player-manager. Returned to Southport as manager in 1970/71, though only for one season.